The Crown of the Continent beckons outdoor enthusiasts. With more than 1 million acres of towering peaks, cascading waterfalls, wild meadows and sparkling waters—the sheer beauty of Glacier National Park is jaw-dropping from every angle. However, it can be a little intimidating. For those of you who don’t want to bite off more adventure than you can chew, but still want to get out of your car and away from the crowds, here’s an insider’s guide for a low-key introduction to the park. Glacier National Park is captivating from every angle. Explore in style by moped, horseback, boat, or a guided walk. These mellow adventures are some of the best ways to cover ground and discover the raw splendor of the park’s glacial-carved terrain. Experience a truly off-grid authentic Montana moment, without breaking a sweat. Set out on one of the park’s forested footpaths. Glacier National Park has more than 734 miles of maintained trails, including many short walks that provide an intimate tour of the terrain. 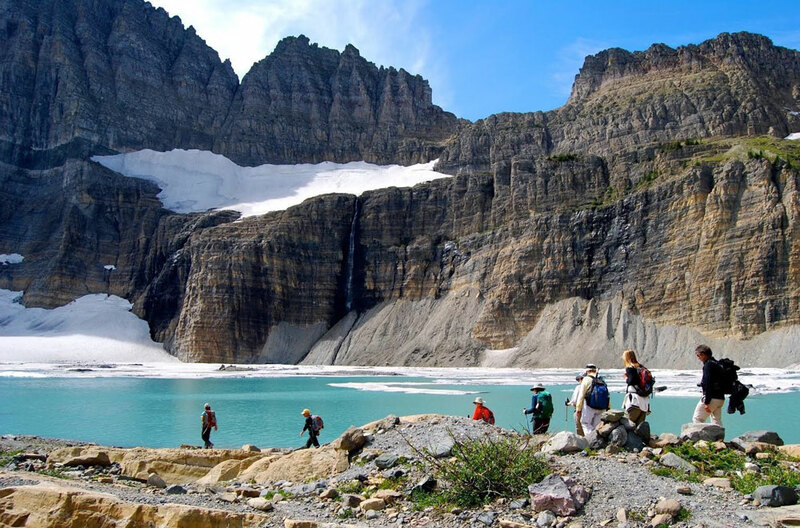 Glacier Guides and Montana Raft leads hikes for all ages and fitness levels. New this year is a half-day nature walk. 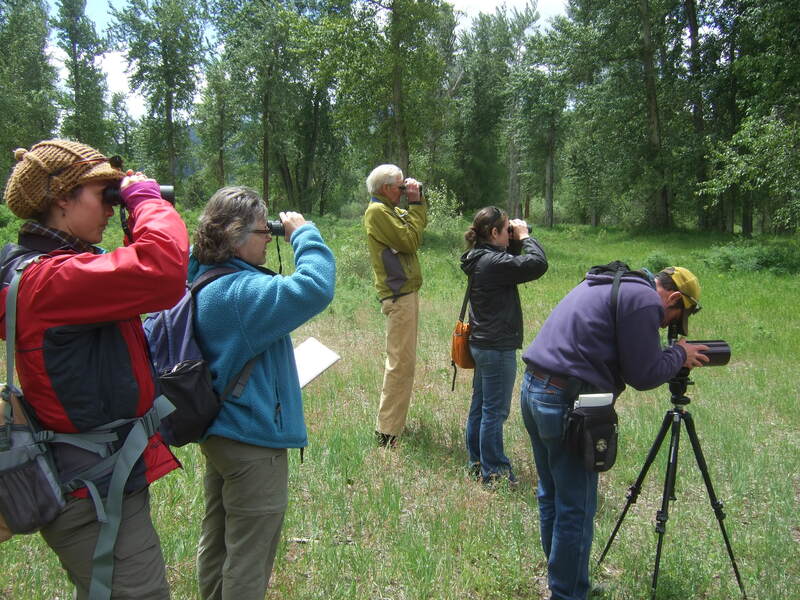 Learn about Leave No Trace, forest fire science, river ecology and the history of early settlers, while leisurely strolling on two easy walks—first at Lake McDonald Valley and then in the North Fork Valley. Each walk is about 1.1 miles, with an elevation gain of only 180 feet. 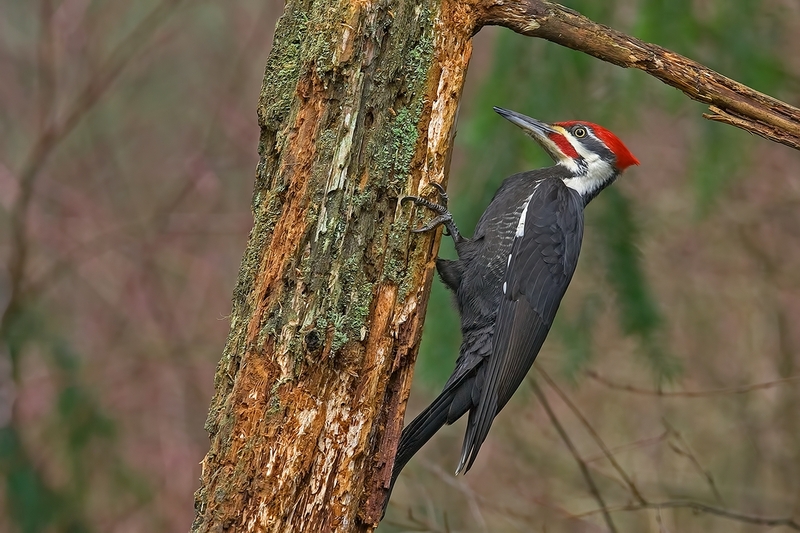 2019 guided walks are available May 30 – August 29. You can also request a custom walk, if you want to go to a different location. 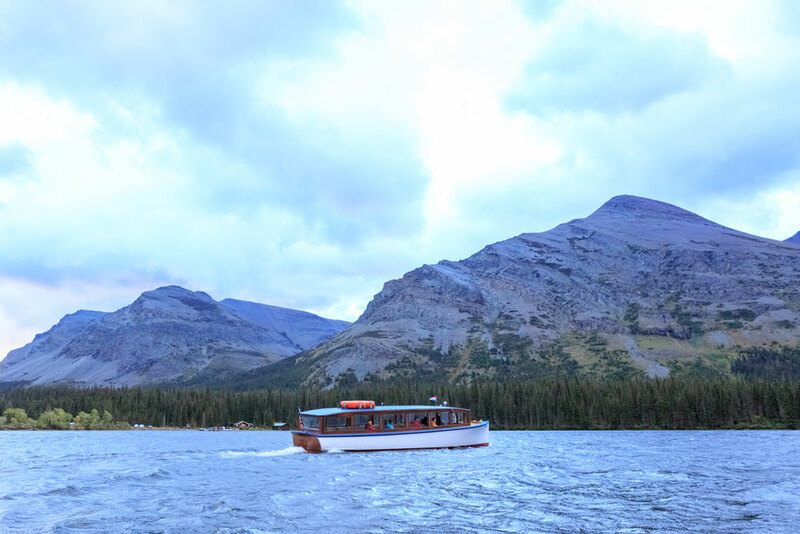 The Sinopah, built in 1926, cruises Two Medicine Lake. For a different park perspective, step aboard a scenic boat tour by Glacier Park Boat Company. 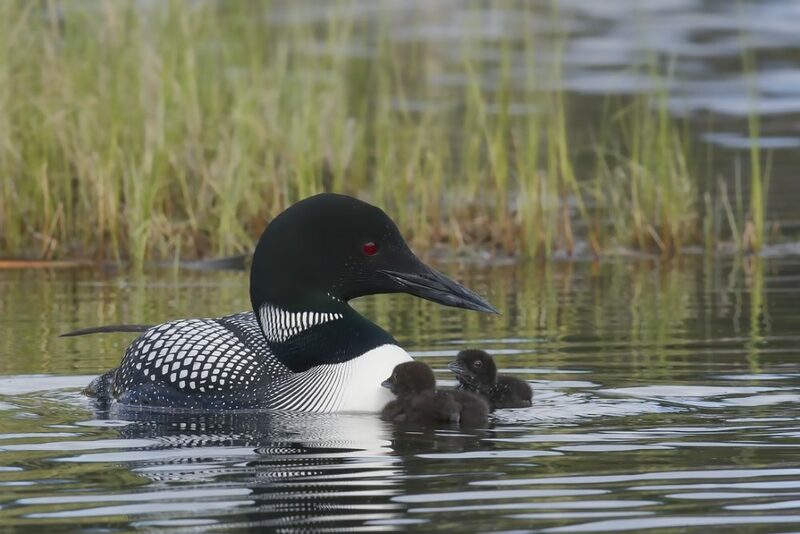 A guided tour of St. Mary Lake, Lake McDonald—the park’s largest lake—Many Glacier or Two Medicine Lake offers panoramic views of the surrounding peaks, allowing you to take in 360 degrees of Glacier National Park grandeur. One of the most tranquil ways to explore the park, you’ll also have the option to get off the boat for a short guided walk. Each tour is unique, informative, and, most importantly, the view from the water is always extraordinary. Book a 2019 tour between May 18 and September 22, depending on location. 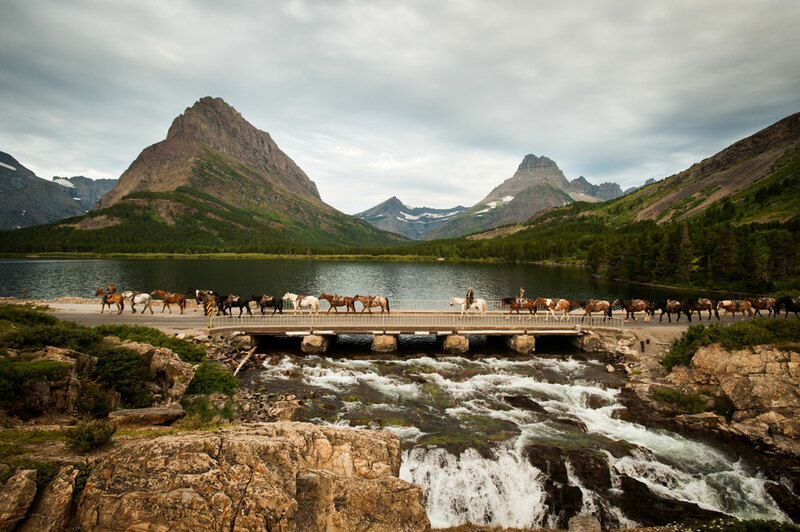 Get off the beaten path and take in Glacier National Park from the saddle with a guided horseback trail ride from Swan Mountain Outfitters. Experience unspoiled beauty and aquamarine glacial waters, along with wildlife and wildflowers around every bend. 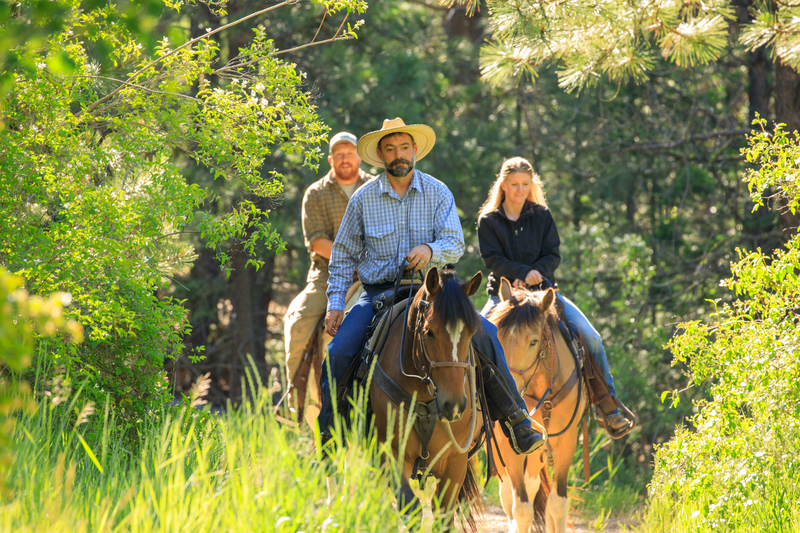 Trail rides vary from one hour long to one and a half days, and accommodate all levels of riders, beginner to expert. Take off from one of three locations—Apgar, Lake McDonald or Many Glacier. No two trails are alike; choose what views you’d like along the trail, from meadows to forests and lookouts to lakes. Tours are offered mid-May through the end of September/early October, weather dependent. 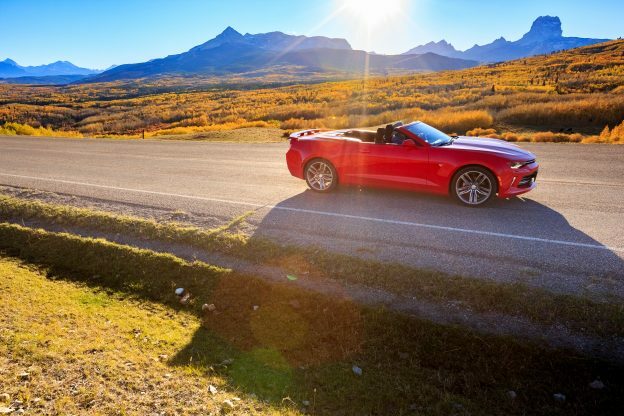 Enjoy an open ride through the fresh mountain air. Not wanting to stray far from the road? We’ve got you covered. 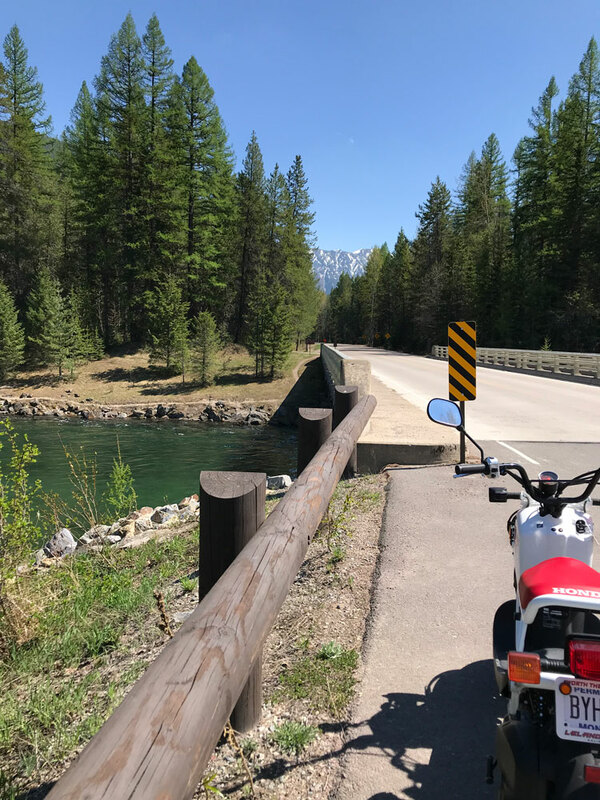 Revel in the freedom of a self-guided road tour on a moped from Glacier Moped Rentals. Why? Because mopeds are exhilarating! You’ll also enjoy open views, plus the sounds and scents of the fresh mountain air. You don’t need a motorcycle license to ride; a helmet, map and safety briefing are all provided. Rent for as little as an hour, or choose a multiday trip. Mopeds make scenic viewpoints and pull-outs a breeze. Don’t miss the chance to ride the more undiscovered areas of the park on roads less traveled, taking in unrivaled, breathtaking views. For more adventure inspiration, itineraries, facts, and safety information, visit glaciermt.com/glacier-park. 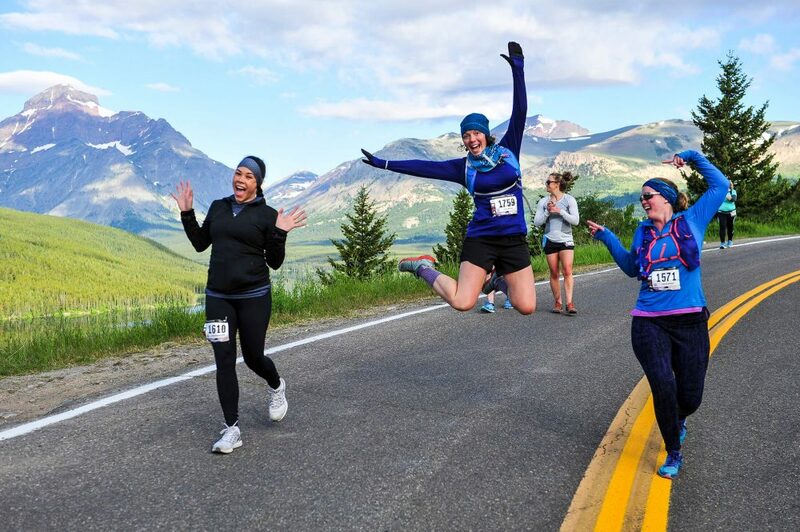 This entry was posted in Glacier National Park, Montana Fun, Outdoor Fun, Summer, Things To Do on April 15, 2019 by GlacierMT. Winter in Glacier Country is for adventurous powder plungers, downhill dreamers and paradise seekers looking for a peaceful escape in an enchanting frosty forest of white. We have activities year-round here, but winter is one of our best seasons for adventure. Exploration is exponential this time of year, and it’s one of our favorite seasons to recreate in Western Montana. Let’s face it, cross-country skiing is one of Montana’s favorite winter pastimes. Cross-country skiing makes it possible to head into backcountry quiet places that might not be otherwise accessible this time of year. You’ll find easy access to groomed trails all over Western Montana that allow you to tour the terrain in an intimate way. 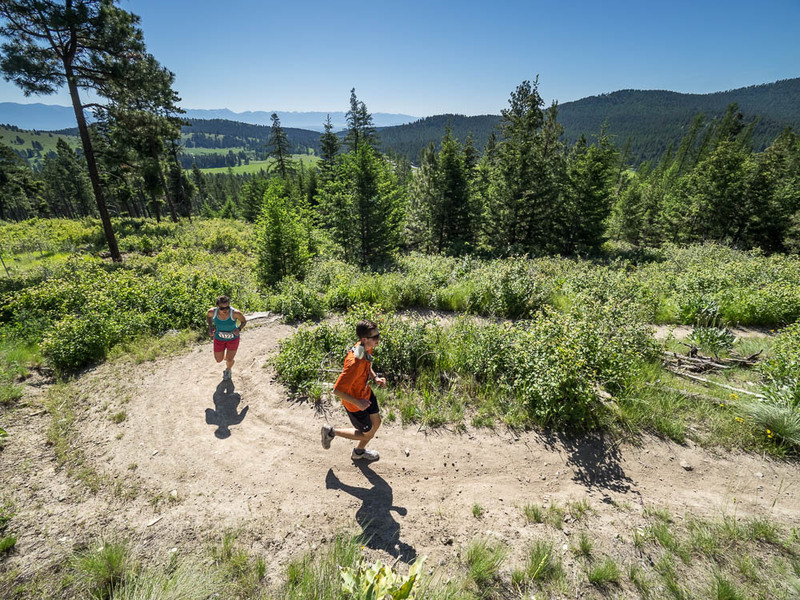 Trails off the beaten path are in the Bitterroot, Lolo, Kootenai and Flathead Nationals Forests. The Izaak Walton Inn in Essex offers 20 miles of sheltered trails that wind through forested terrain and offer views of Glacier National Park. Travel at the speed of a dog and experience the adrenaline rush of mushing your own team of Inuit sled dogs through miles of terrain and across frozen lakes. 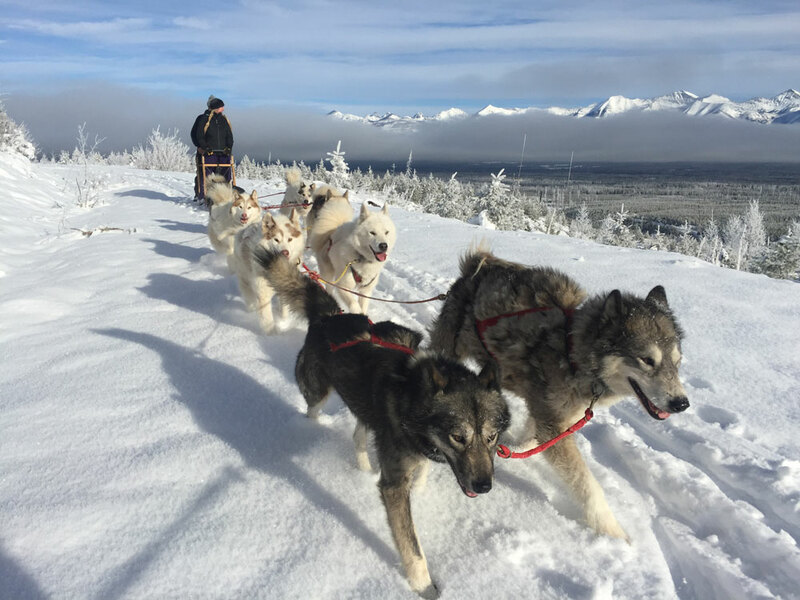 Choose between guided half-day tours or a multinight excursion; many companies in Glacier Country offer dog sledding, but one of our favorites is Base Camp Bigfork. 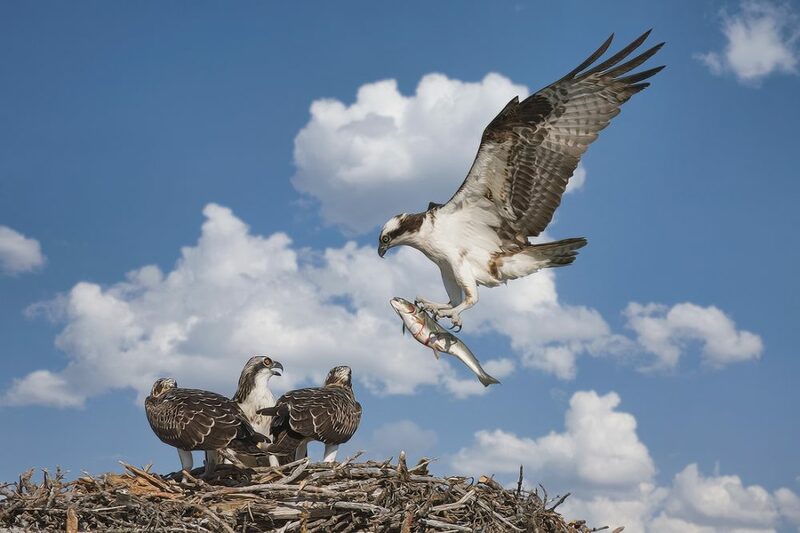 Montana is a dream destination to drop a line in any of our four seasons—our fish bite year-round. Ice fishing in Western Montana can be a true test of skill and a whole lot of fun. So bundle up, review fishing regulations and, for phenomenal fishing, visit Flathead Lake, Whitefish Lake or any one of the lakes that dot the Seeley-Swan Valley. 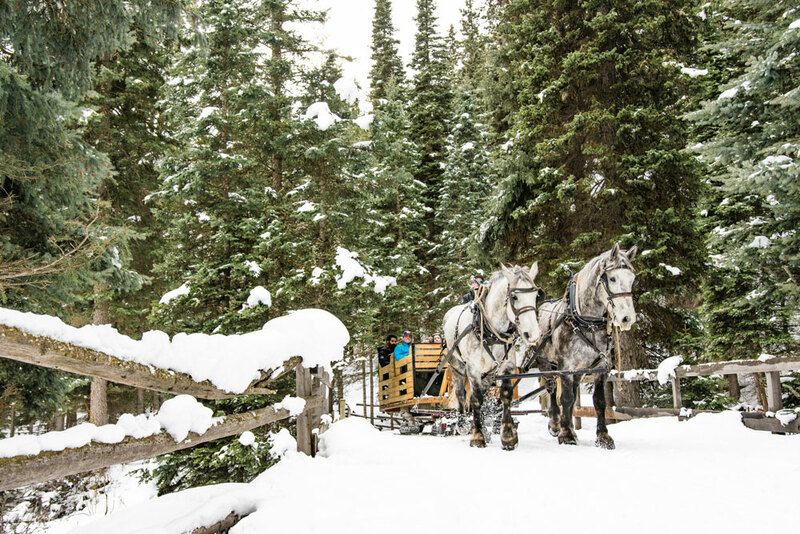 There isn’t a more authentic way to experience the magic of our enchanting winter wonderland than dashing through the snow in a horse-drawn sleigh. It’s also one of our coziest winter activities if you are ready to bundle up and relax. Glide across the snow with a sleigh ride from Bar W Guest Ranch in Whitefish, Double Arrow Lodge in Seeley, or Cripple Creek Horse Ranch in Trego. When our lakes freeze over, we don’t just admire them from afar. We lace up our skates and head out to enjoy the crisp mountain air. This peaceful winter activity is ideal for all ages, with indoor ice rinks available throughout the region as well. 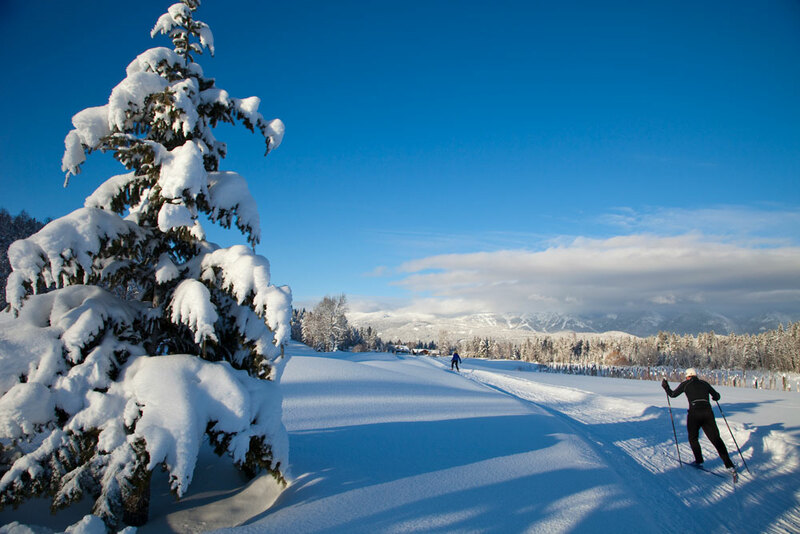 Embrace all that is winter in Western Montana with this wildly fun activity that is quickly gaining in popularity. Fat biking includes riding a bike with oversized tires that make it easy to move across the snow. 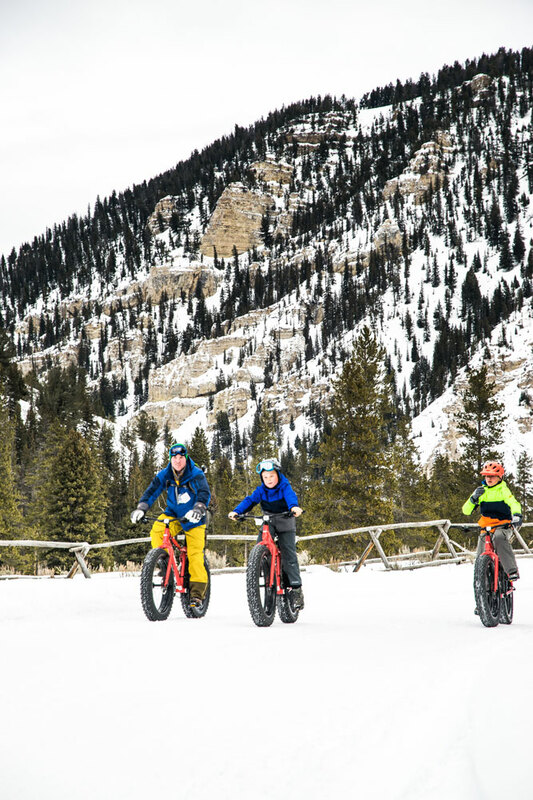 You can rent a fat bike and access groomed trails, snow-packed roads or the Whitefish Trail (which is ungroomed) from Whitefish Bike Retreat. 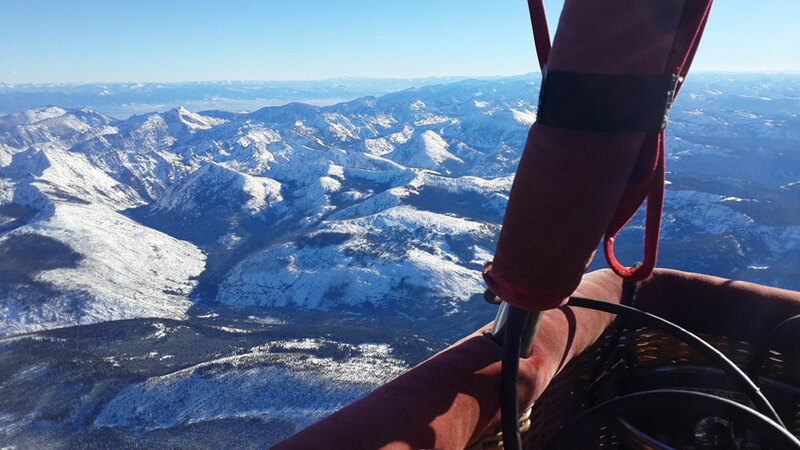 A hot-air balloon ride is a great way to make magical winter memories. Enjoy the crisp mountain air and breathtaking scenery while staying toasty—the hot air will ensure it. Panoramic views of never-ending bluebird skies against pure white sparkling snow are what dreams are made of. The hot-air balloon company Mountain Butterfly provides rides throughout Glacier Country with liftoffs from Glacier National Park to the Bitterroot Valley. During the summer and fall, Fantasy Flights and Phoenix Balloon Flights air up for rides around Glacier National Park. Taking a walk in the snow is high on our list of things we love. This quintessential winter pastime is one of the easiest ways to play in pristine Montana powder. Our favorite place to snowshoe in Western Montana is Glacier National Park, although there are many places throughout the region. In the park, popular places to don your snowshoes include the Going-to-the-Sun Road and trails at Marias Pass and Lake McDonald. 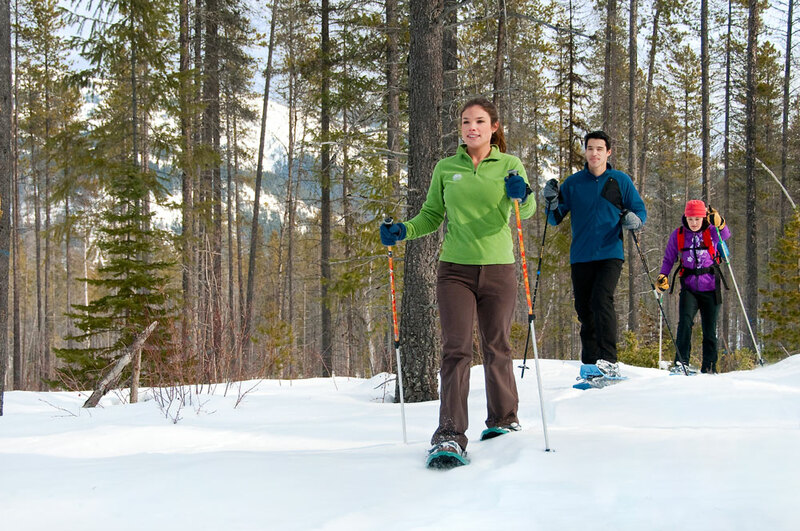 There is nothing quite as classic as snowshoeing with family. Visit glaciermt.com for additional information about these activities, including safety, equipment rentals, lodging and more. This entry was posted in Bigfork, Bitterroot Valley, Family Fun, Fishing, Flathead Valley, Glacier National Park, Guest Ranch, Lolo, Montana, Montana Fun, Outdoor Fun, Seeley Lake, Seeley-Swan Valley, Things To Do, Trego, Whitefish, Winter Fun on December 17, 2018 by GlacierMT. 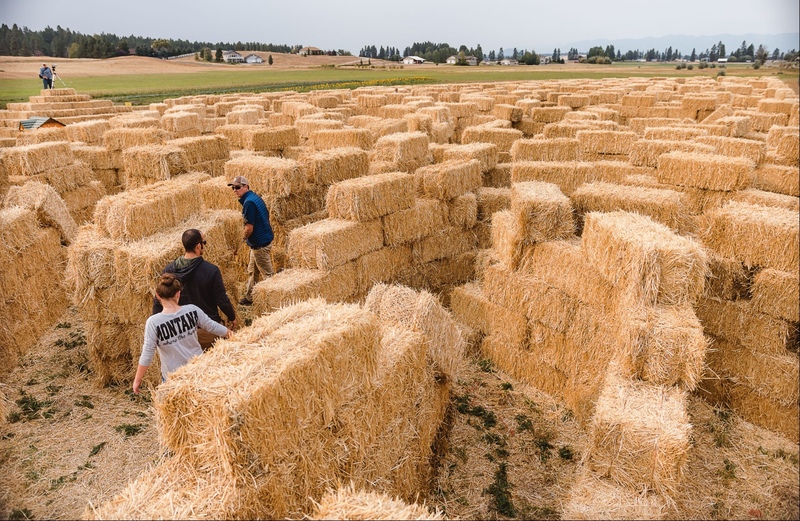 Here in Western Montana’s Glacier Country, we love the holidays and all the magical experiences they bring, like corn mazes, craft fairs and sleigh rides, to name a few. Although we would like to spend all our time outdoors frolicking in the snow or bundled up by the fireplace with hot cocoa, we also know that with the holidays—no matter what holiday you celebrate—comes gift giving. In Western Montana we really know how to deck the halls and celebrate the season of giving with all things merry and bright. We love huckleberries, and that’s the truth. It’s also true that you can find huckleberries in just about any form here; for an extra decadent taste of this coveted wild fruit, we recommend huckleberry fudge. The Sweets Barn in Lolo offers an ongoing taste of Montana with their Fudge Hog Club. This gift will keep on giving month after month with a new flavor of scratch-made buttercream fudge. 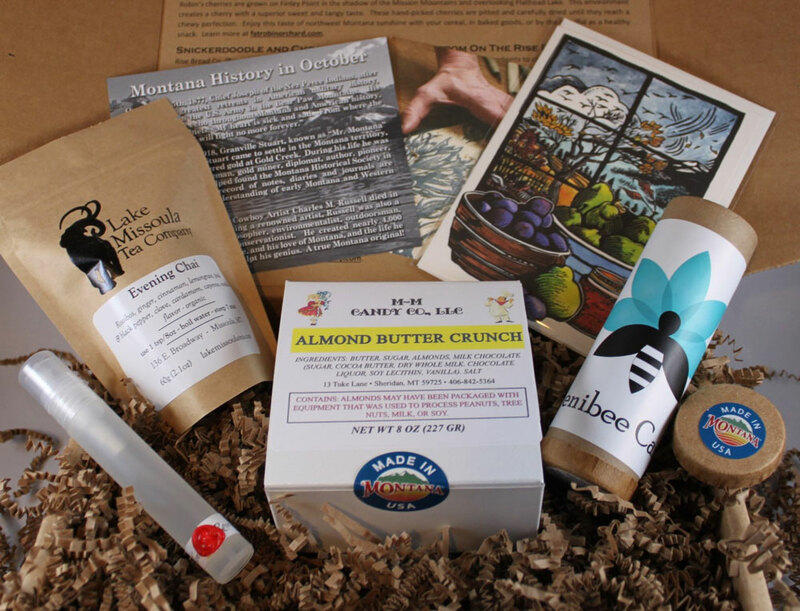 The Last Best Box is another subscription chock-full of Montana goodies from artists, artisans and local businesses. Their October box featured Evening Chai tea from Lake Missoula Tea Company (a local favorite). You would be hard pressed to find a more authentic Montana gift than these hand-drawn, hand-lettered maps by Xplorer Maps. 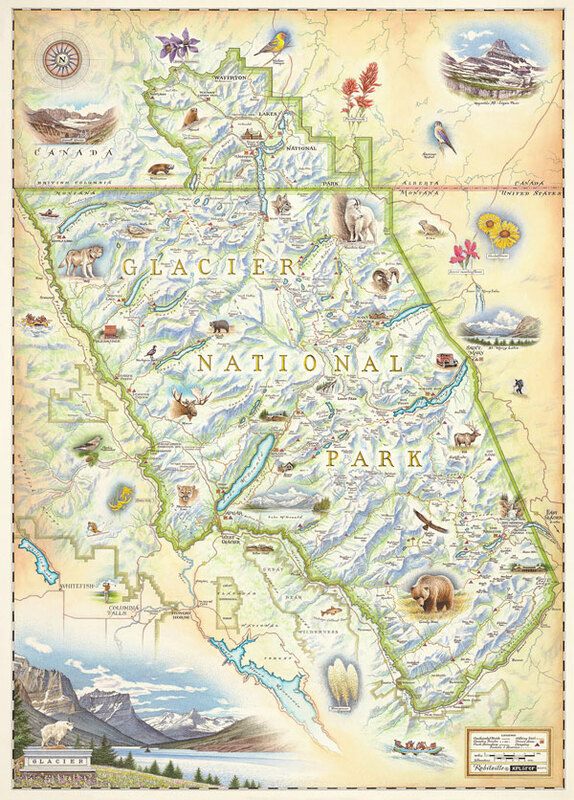 Choose from a map of Montana, Flathead Lake or Glacier National Park. Their masterful Old-World style maps offer vibrant images of the landscape, flora and wildlife—making them a unique and unforgettable gift. Get snug fireside with a Camp Blanket from Dig + Co. This blanket is made of high-quality flannel sourced from Missoula—the ultimate get-your-cozy-on gift. 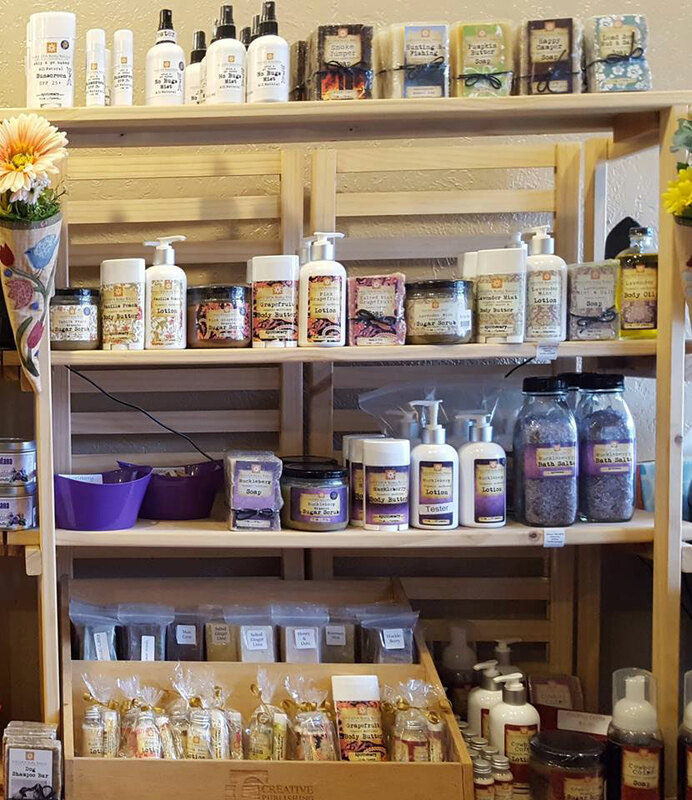 Bath and body gifts are always on trend, but DAYSPA Body Basics keeps it fresh with their own line of handcrafted natural products. Online and gift options include those for men, pregnancy, babies, cold season and more. The organic sugar body scrub comes in scents like Cowboy Coffee, Coconut Cake and Lavender Mint. Pamper your man with the Activated Charcoal Shave Cream paired with the Organic Aloe After Shave Balm. Montana-made jewelry is a timeless gift, and a favorite for any occasion. Always There Designs offers fun and casual hand-stamped metalwork necklaces, earrings and bracelets. 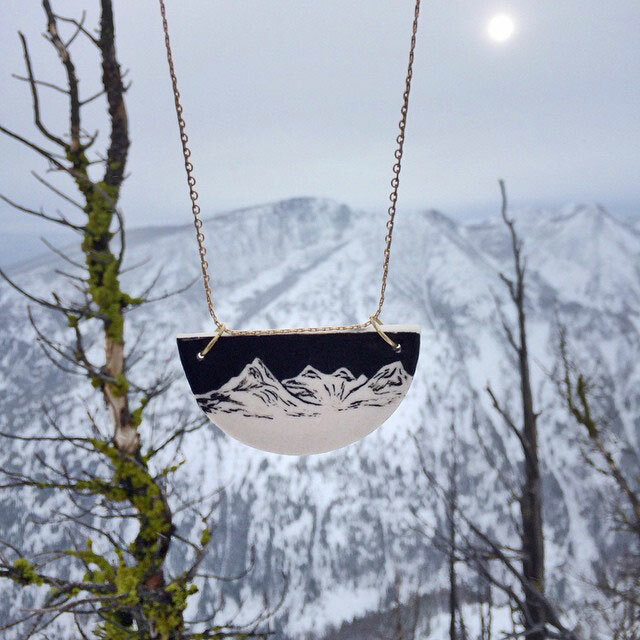 They feature designs in the shape of Montana and mantras like “be brave” or “fearless.” For a bolder look, Wild Mountain Ink makes porcelain jewelry adorned with hand-drawn designs. All of their products are one of a kind and depict Montana’s vast and beautiful landscape. Western Montana is known for bison, and we are lucky enough to have bison ranches galore. 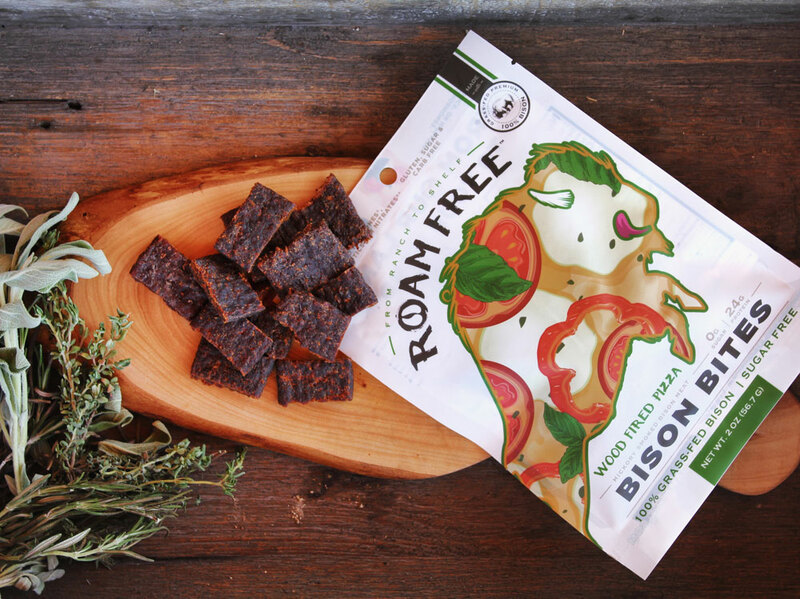 One ranch, located on the Flathead Indian Reservation, makes one of our favorite treats, Roam Free bison bites. You can’t beat the taste of this grass-fed and sustainably raised bison. Another item high on our list of things we love is coffee. Online at Montana Coffee Traders find savory flavors like Montana Blend and Trailblazer. From dark to light roasts, plus organic and espresso options, they have it all—the perfect gift for any coffee lover. 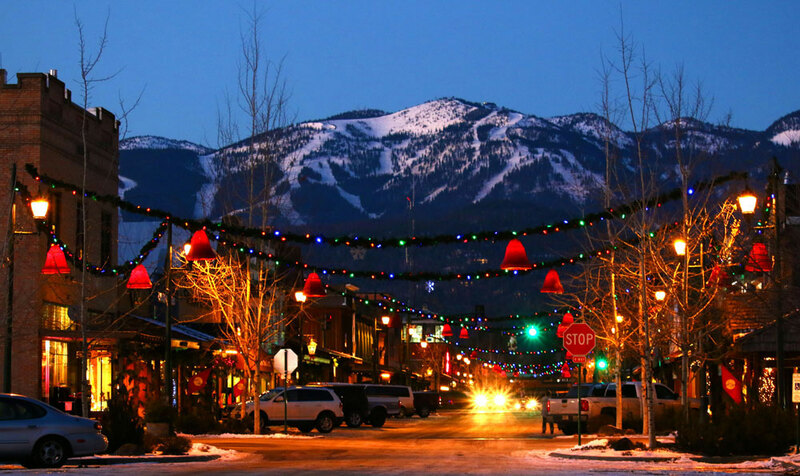 Capture the magic of the season by shopping at one of many picturesque small-town shops in Western Montana. We don’t like to pick favorites, but here are a few unique shops that feature Montana-made products: Sage & Cedar in Whitefish and Kalispell, Great Gray Gifts in Charlo, The Green Light in Missoula, St. Regis Travel Center in St. Regis and Grizzly Claw Trading Company in Seeley. 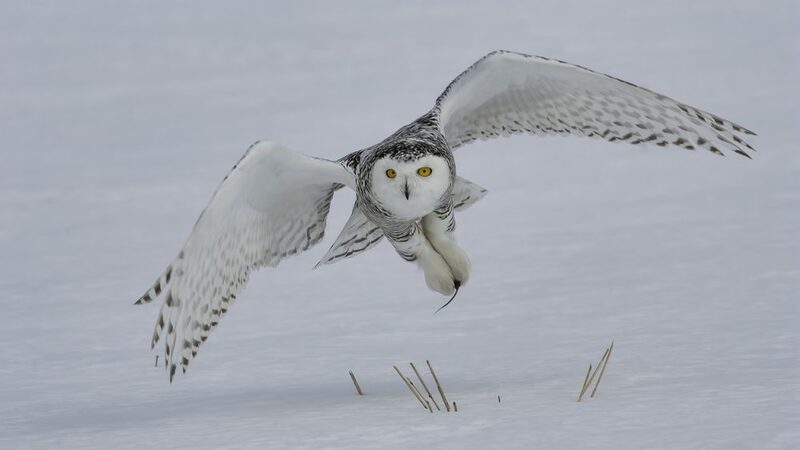 This entry was posted in Art, Arts and Culture, Charlo, Flathead Valley, Glacier National Park, Holidays, Kalispell, Lolo, Missoula, Seeley-Swan Valley, Shopping, St. Regis, Uncategorized, Whitefish on November 19, 2018 by GlacierMT. 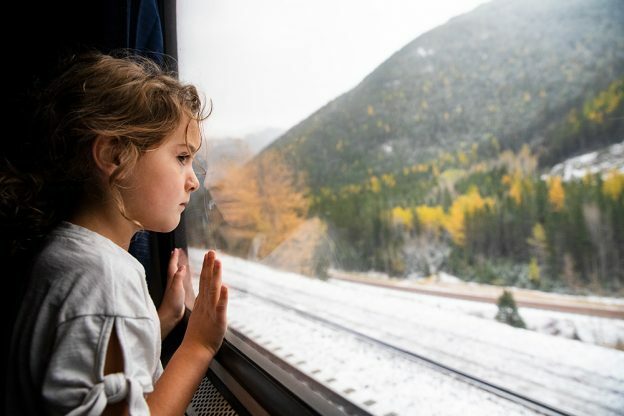 Exploring Glacier Country on Amtrak’s Empire Builder is a fun and memorable way for travelers of all ages to see Glacier National Park and experience Western Montana’s small-town charm. A mid-to-late autumn round-trip journey from Cut Bank to Whitefish offers the opportunity to see Western Montana and Glacier National Park draped in fall colors lightly dusted with fresh snow—a uniquely beautiful blending of seasons. Wide windows make for incredible viewing of Glacier’s golden hues. From Cut Bank, board the evening train for Whitefish. Conductors will assist riders with loading on. Coach seats are unassigned, but the train cars are spacious, so finding a spot shouldn’t be a problem. After your tickets are checked, we recommend making your way to one of several observation decks between the coach cars. These decks offer incredible views! All aboard in the charming town of Cut Bank! Trip-Tip: Book your tickets ahead of time at amtrak.com, where you can also find carry-on and checked-luggage rules. Amtrak’s coach windows are wide, allowing for excellent sightseeing. Watch the sun set across the plains of the Blackfeet Nation, illuminating the scenic Rocky Mountain backdrop with the last light of day. Snacks and beverages are offered downstairs of the observation deck, or make a reservation for dinner in the restaurant car. 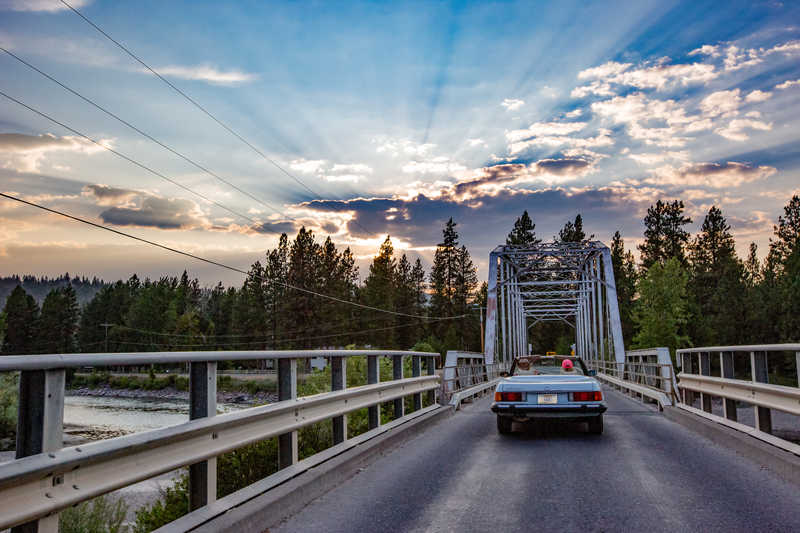 The evening ride is quiet and smooth, and, after a three-hour journey, Whitefish—the quintessential mountain town—offers up warm hospitality and cozy accommodations. 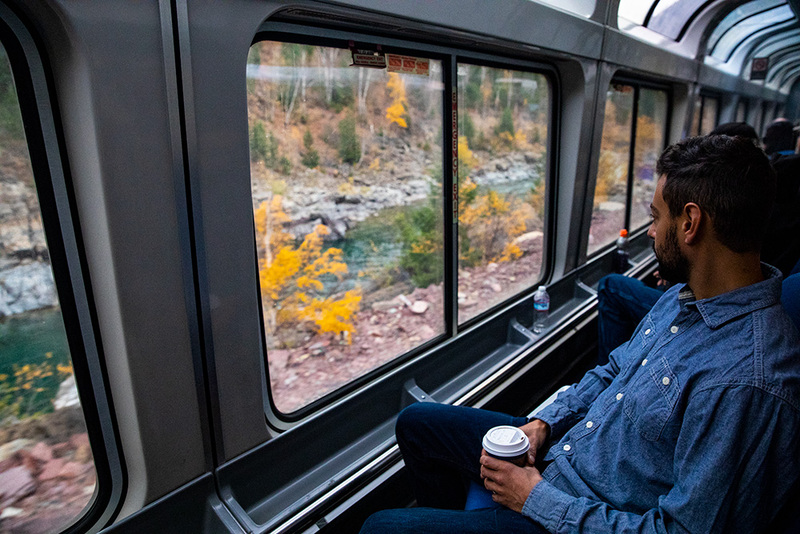 See the sights from the comfort of Amtrak’s cozy cars. 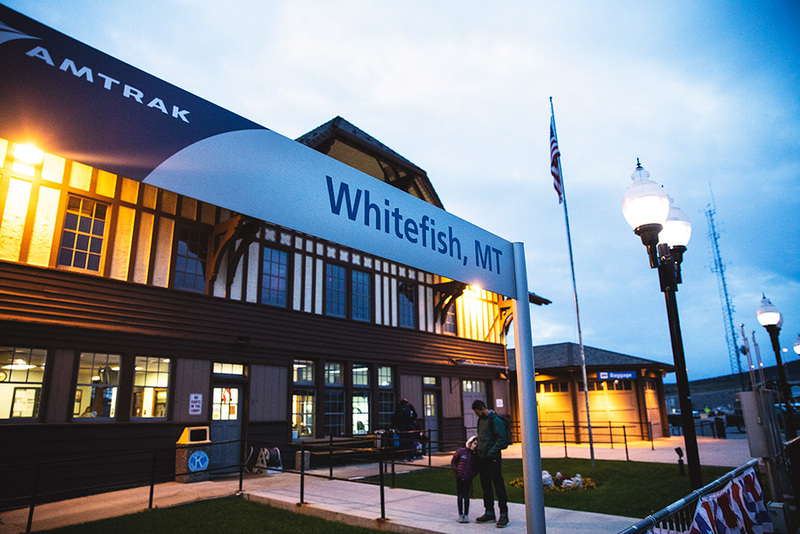 The Whitefish train depot is located right downtown, so grab your bags and walk to any number of accommodations. 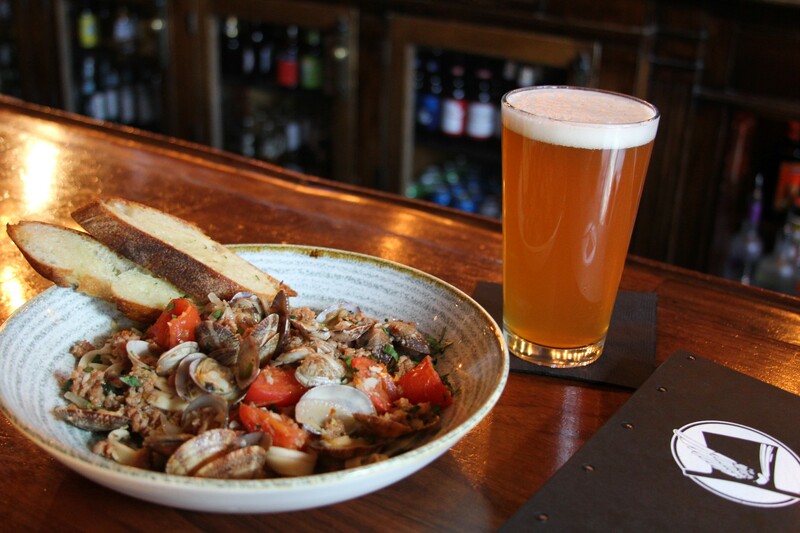 We recommend maximizing your adventure with a finely-crafted local beer at the Great Northern Brewing Company and overnighting at The Firebrand Hotel, where we highly recommend making reservations well in advance. Good morning, Whitefish. It’s lovely to be here. Rise and shine to jaw-dropping mountain vistas, well worth the early wake-up. The Whitefish Depot’s alpine architectural style is quaint and cozy and the platform offers gorgeous views of the surrounding hills speckled with golden tamarack pine trees. Check a bag inside, or bring along your carry on. The morning ride through the park is absolutely stunning. From Whitefish, the train takes you west-to-east through Glacier National Park as you make your way back to Cut Bank. Sit back, relax and take in the Glacial-carved landscape while enjoying a fresh, hot coffee. The ride into Glacier National Park is very scenic and quite relaxing. 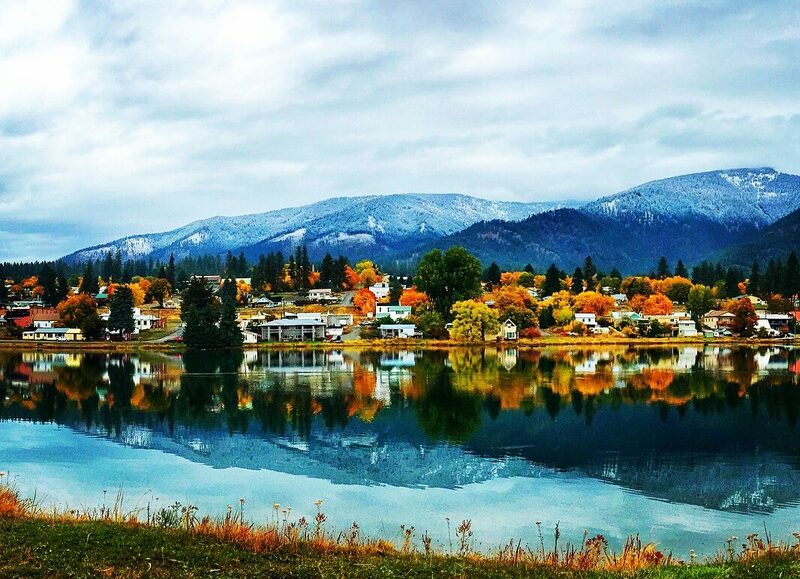 See the glacial blue waters of the Flathead River among the orange and gold contrast of trees in their seasonal shade. Grab a cup of coffee or snack from the concessionary downstairs from the observation deck, or make a reservation for breakfast in the dining car. 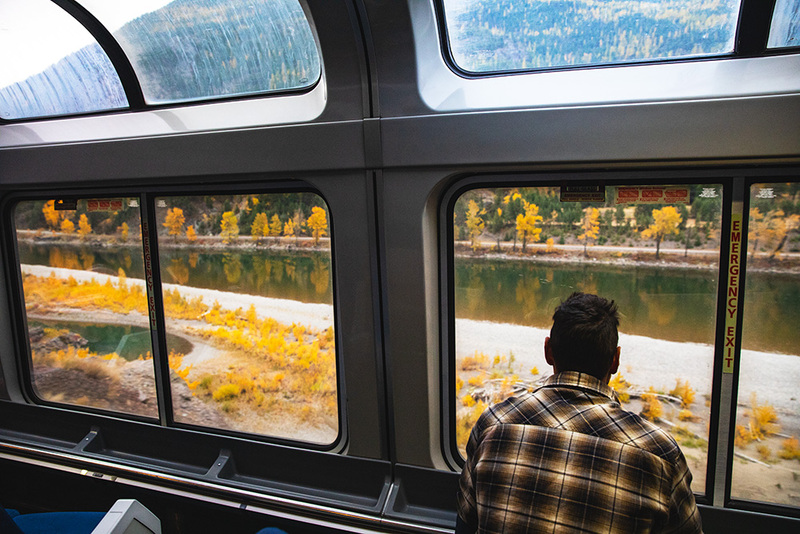 With views like this, you’ll be in awe from any part of the train. 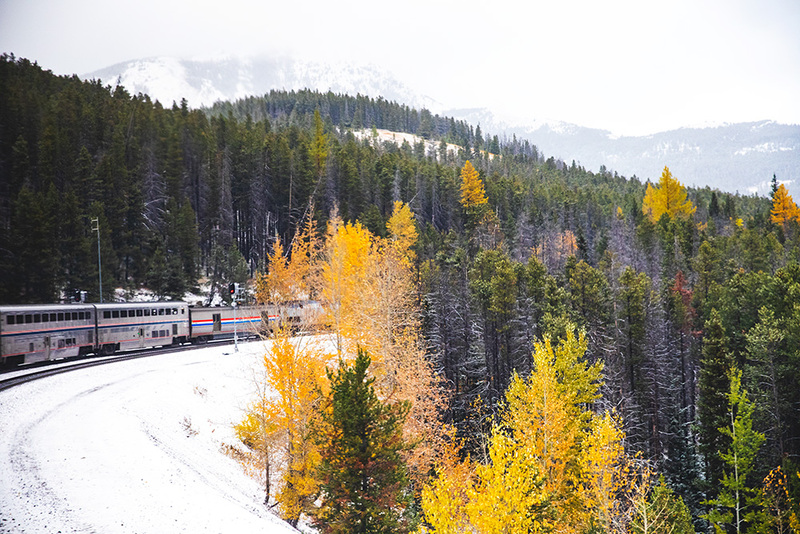 Fall for miles and miles of autumn on an Amtrak adventure. 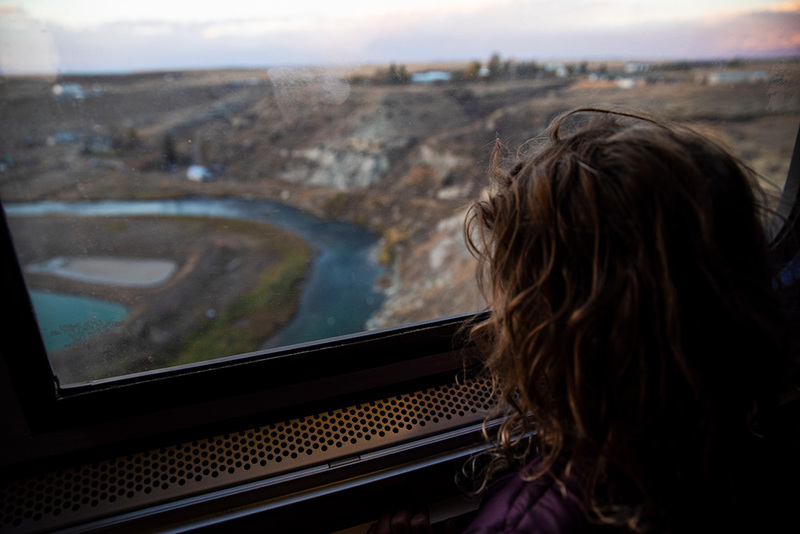 The vibrant colors and snowcapped peaks of a fall-kissed Glacier Country are always spectacular, but there is something about the view from a train window that makes for a magical experience. You get to cover some serious ground and view the vastness of the landscape, from deep river valleys and high mountain peaks to the beautiful wide-open plains of Browning and Cut Bank. This is one Glacier Country train tour everyone should travel. Witness the beautiful blending of seasons in Glacier Country. 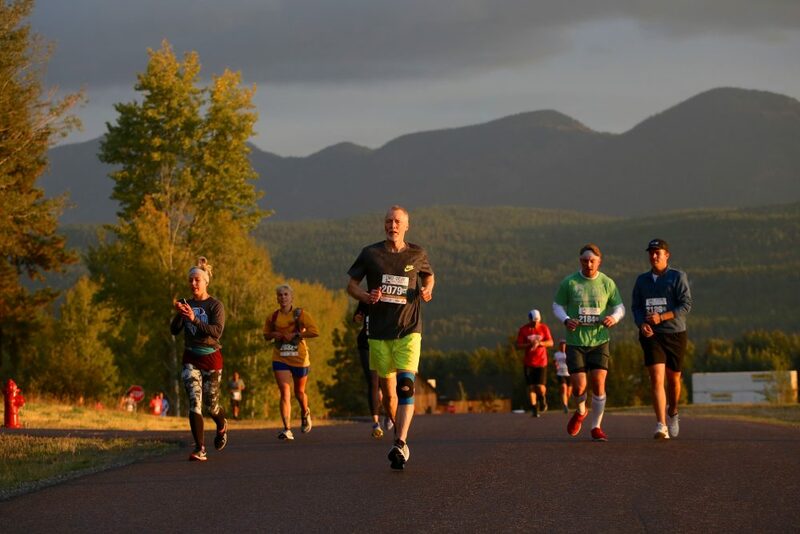 This entry was posted in About, Autumn, Blackfeet Nation, Cut Bank, East Glacier Park, Fall, Family Fun, From The Road, Getting Around, Glacier National Park, Montana, Montana Fun, Parks, Things To Do, Uncategorized, vacation, West Glacier, Whitefish, Winter Fun on October 22, 2018 by glaciermt. In the velvety, rolling foothills just east of Glacier National Park, the culture and traditions of the American Indian thrive. 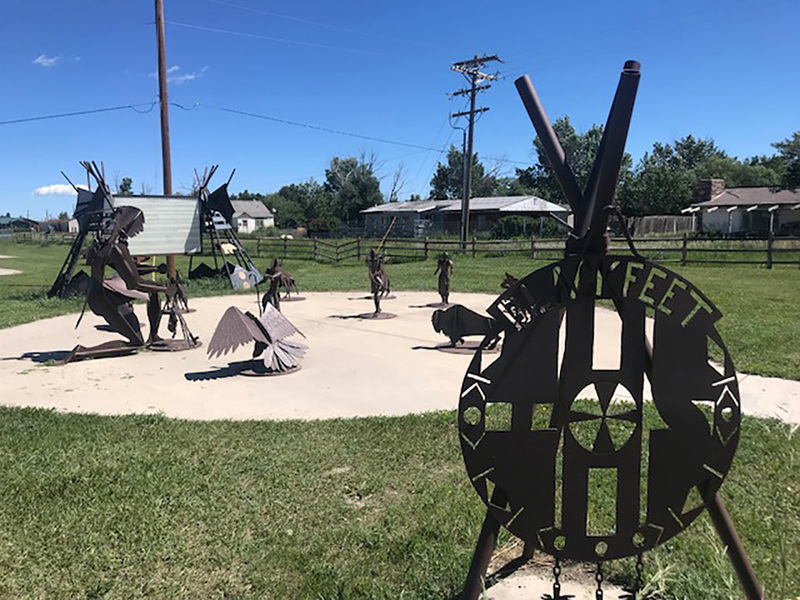 The largest community on the Blackfeet Indian Reservation, Browning, Montana is home to the state’s biggest tribe—the Blackfeet Nation. 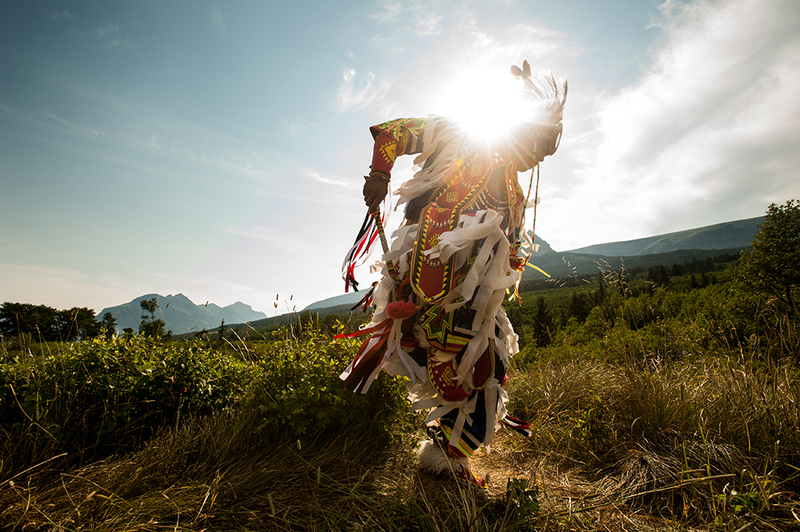 Museums, shops, galleries and annual celebrations preserve the Blackfeet way of life, and give travelers an authentic glimpse into their heritage. Browning is the heart of the Blackfeet Nation, one of the two American Indian tribes in Glacier Country. 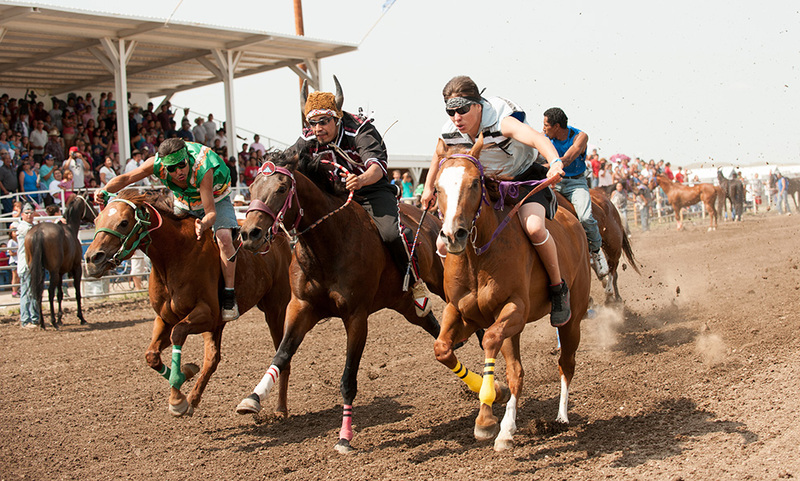 Experience one of the largest gatherings of U.S. and Canadian tribes, featuring traditional games and dancing, a pow wow, and horse relay races. Every summer for four days during the second week of July, Browning hosts this family-friendly, not-to-be-missed authentic celebration. Witness four days of traditional American Indian dress, dancing and drumming, plus a parade, pow wow, stick game tournament and other traditional activities. Heart Butte Indian Days are held annually the second week of August in Heart Butte, just 26 miles south of Browning. 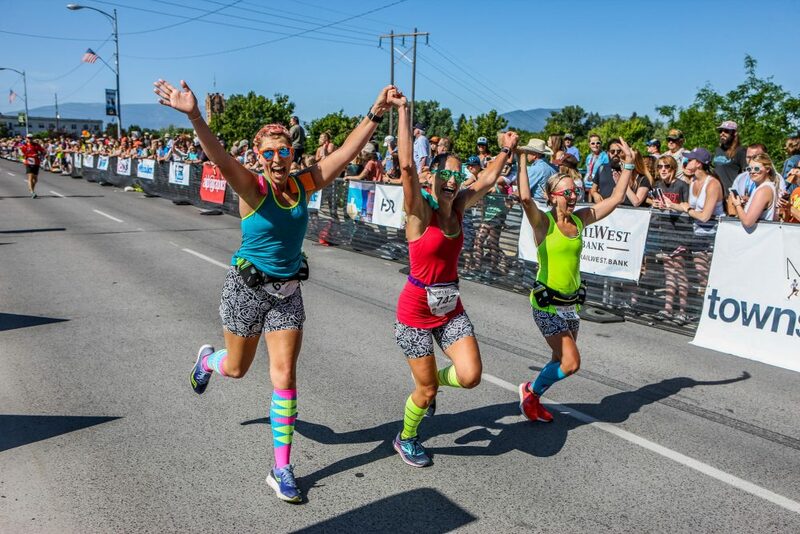 Head to Browning’s Charging Home Stampede Park for the unique and lively Indian relay races where loyal fans gather to cheer on their favorites. 2018’s first annual event was a roaring success and 2019 dates will be announced soon. Take in the unique shape of one of Montana’s most majestic mountains, also believed by the Blackfeet to hold special powers. 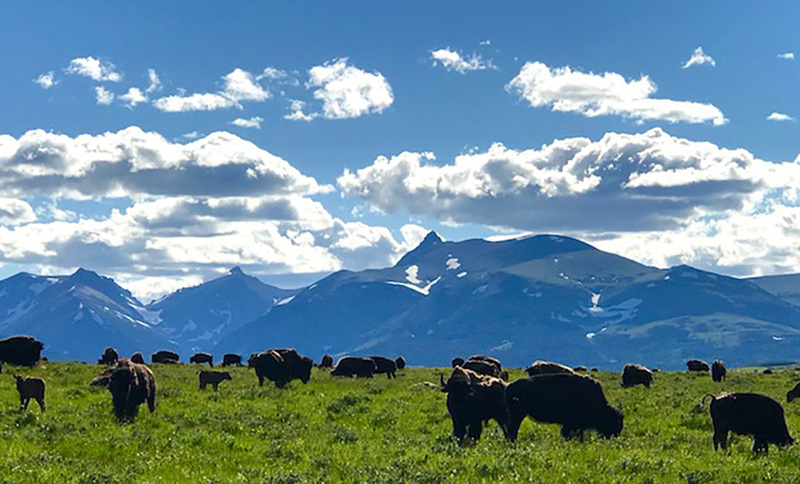 This natural landmark bordering Glacier National Park and the Blackfeet Reservation provided a “cultural center” for many tribes, and today makes for a scenic day trek for experienced hikers. The views from the summit are nothing short of spectacular. Visitors traveling along Chief Mountain Highway will be able to see the peak from afar. 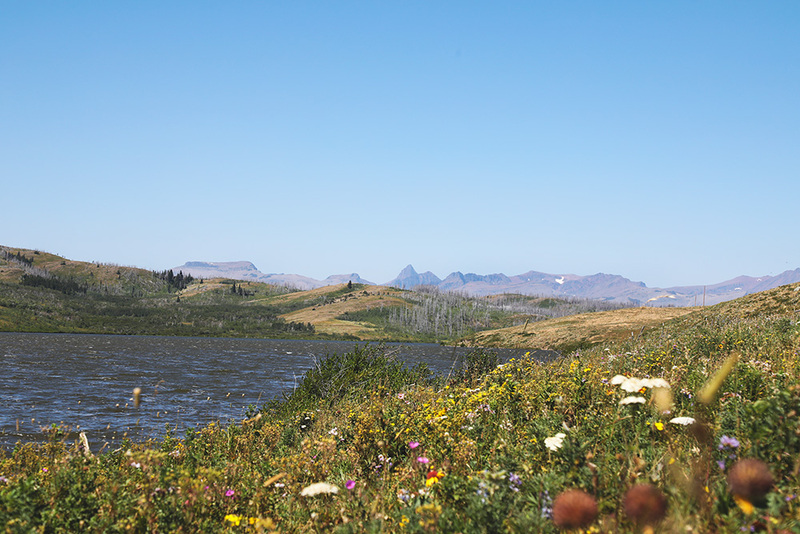 Anglers, hunters and outdoor enthusiasts find solitude and serenity on the Blackfeet Indian Reservation, but make sure you are up to speed on rules and regulations for recreating on tribal lands before you head out for some much needed R&R. Surrounded by stunning mountains, lakes and valleys, the Browning area offers incredible recreation experiences. View the works of more than 500 Native American artists and craftspeople from 19 different tribes, including beadwork, jewelry, quillwork, pottery, rugs, kachinas, moccasins, carvings, bronze work and sculptures, plus baskets, rawhide and horse hair work, drums, dolls and hides at the Blackfeet Heritage Center & Art Gallery. Fine art exhibits include original watercolors, acrylics, oils, wood relief and prints. Also find commemorative coins and a complete baby Tyrannosaurus skeleton. You mustn’t leave Montana without taking home something to remember us by. Authentic American Indian souvenirs and gifts can be found at Faught’s Blackfeet Trading Post. Choose from clothing—including American Indian clothing and western wear—books, pictures and prints, lotions, beading supplies and many other Montana-made American Indian arts and crafts. Spend the night in a tipi! Browning’s Lodgepole Gallery & Tipi Village offers unique lodging in the foothills of the breathtaking Rocky Mountains. 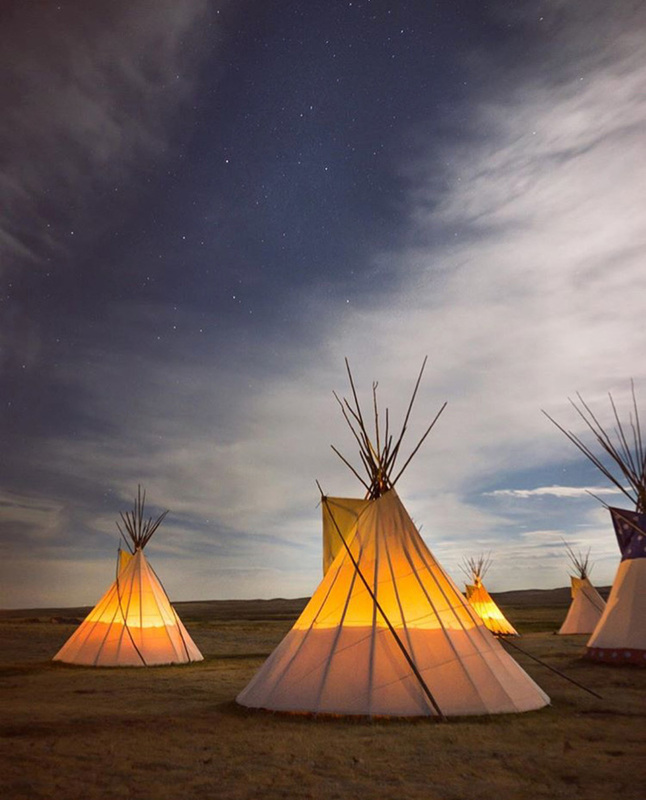 Stay in a real tipi complete with a fire ring for an authentic American Indian experience. Explore the prairie, tour buffalo jump sites and tipi rings, and meet the village’s herd of Spanish Mustang horses. The Lodgepole Gallery displays contemporary and traditional fine art, including Blackfeet art and intricate Blackfeet beadwork. Hit the jackpot in the heart of Blackfeet Country. Montana channels Las Vegas at Glacier Peaks Casino, where locals and visitors enjoy some of the largest payouts in the state. Glacier Peaks is open 24 hours, seven days a week and offers more than 500 machines, blackjack, craps, poker, roulette and more, plus a full-service bar, fine dining and modern accommodations. This Browning mainstay has been a popular visitor attraction for years. At Western Curios you’ll find Blackfeet and Glacier Park logo souvenirs, moccasins, local crafts, Made in Montana items—including our beloved huckleberry products—breads, spices and Montana Silversmith jewelry. Stop in and find some goodies to take home with you. 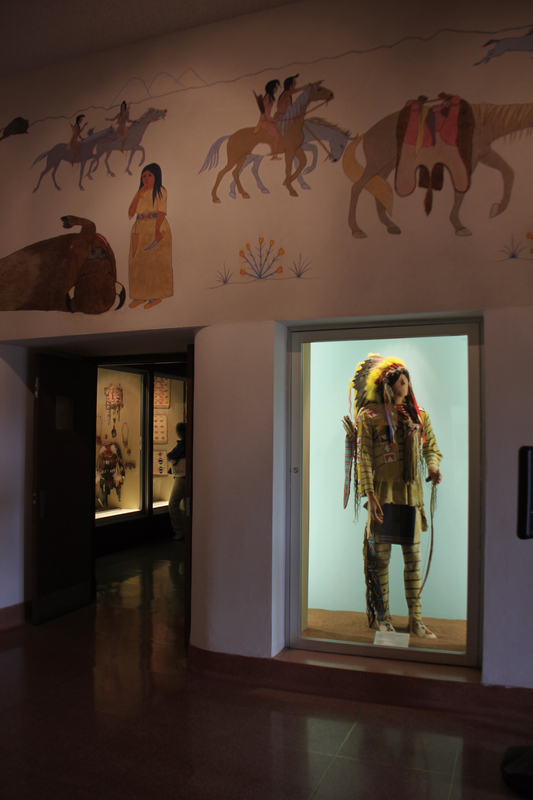 Discover the rich, historic and diverse arts of Northern Plains Tribal peoples at Browning’s popular Museum of the Plains Indian. The museum’s fascinating and educational exhibits include historic clothing, horse gear, weapons, household implements, baby carriers and toys, to name just a handful. The gift shop features fine American Indian jewelry. Highway 2 from Browning to East Glacier Park really holds its own, especially if you’re thinking about beating the crowds and saving the Going-to-the-Sun Road for another day. You’ll find 14 miles of stunning scenery, and there’s just something quite awesome about driving towards the majestic peaks of Glacier National Park. 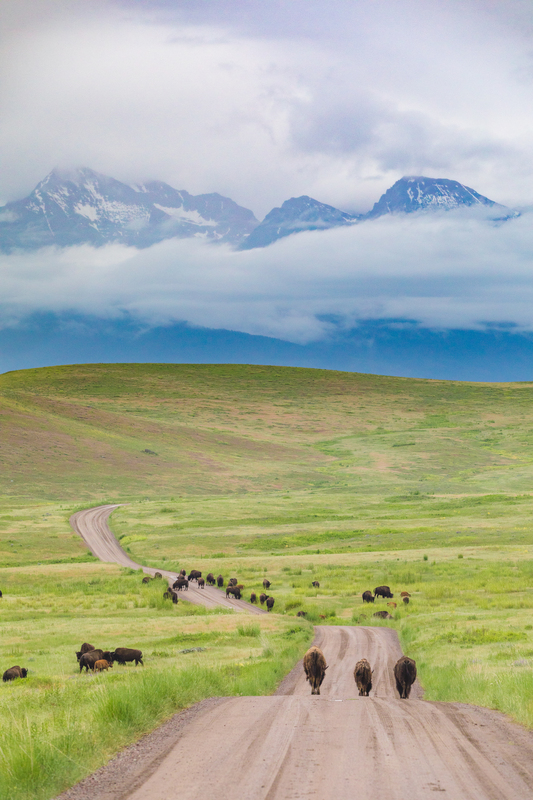 Along the way, spot the Blackfeet’s own herd of bison. Highway 89 from Browning to Saint Mary Lake makes for an unbelievably stunning drive that picks up the east end of the jaw-dropping Going-to-the-Sun Road. Stay and play at the awe-inspiring lake, or continue on to crisscross Glacier National Park via one of the most beautiful drives in the U.S. This entry was posted in American Indian, Arts and Culture, Blackfeet Indian Reservation, Blackfeet Nation, Browning, East Glacier Park, Events, From The Road, Getting Around, Glacier National Park, Montana, Montana Fun, Native American Culture, Outdoor Fun, St. Mary, Things To Do, Uncategorized on September 13, 2018 by glaciermt. The treasured little Glacier Country town of Cut Bank is cozied up against the backdrop of the breathtaking Rocky Mountains just under an hour from Glacier National Park. 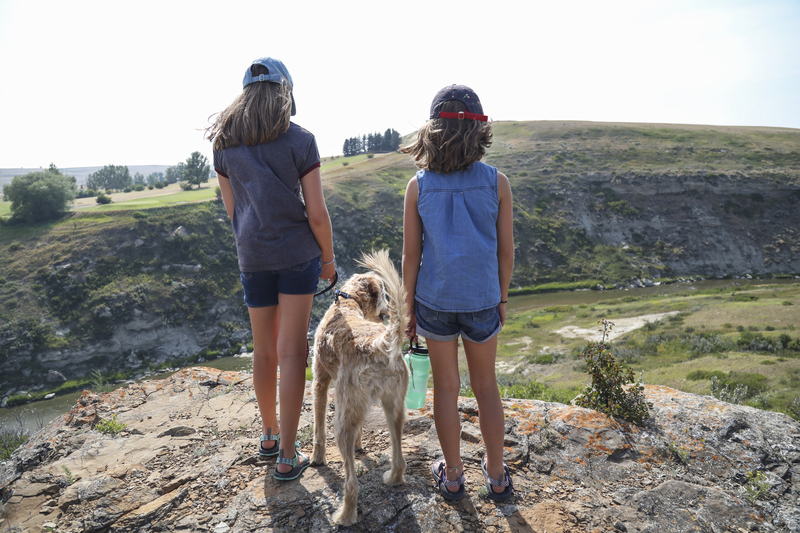 Along the eastern border of the Blackfeet Indian Reservation, history, tradition, western adventures and outdoor opportunities abound in this stay-and-play, full-service community, complete with comfortable lodging, friendly hospitality and a personality all its own. We’ve got a list of things for you to see and do in Cut Bank, one of Glacier Country’s most charming small towns. 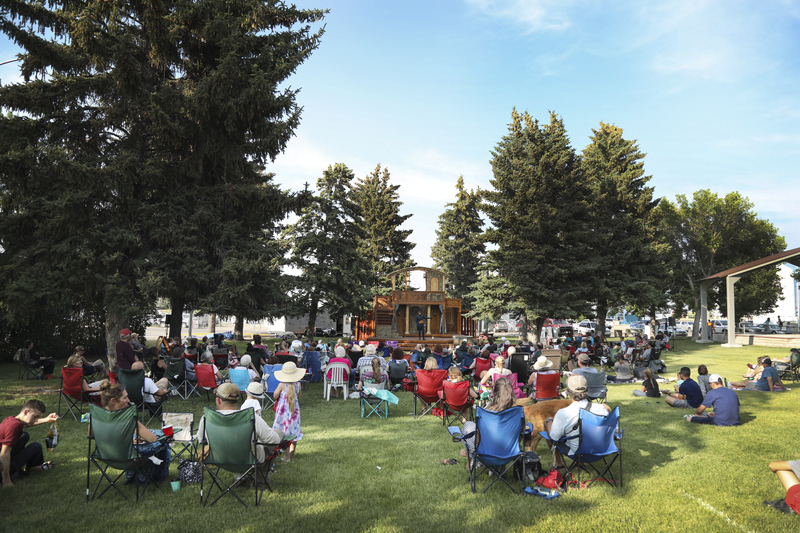 Montana Shakespeare in the Parks makes an annual stop in Cut Bank City Park each summer, and the whole town turns out for the beloved annual Lewis and Clark Days Festival, featuring live music, a chili cook-off, a parade, a car show, games and more. The Cut Bank City Park is home to the community’s popular events for locals and visitors to enjoy. Devoted to local history, the 14-acre Glacier County Historical Museum includes a 1917 schoolhouse, an oil worker’s house and derrick, an old caboose, Lewis and Clark exhibits, and a replica of a homestead house and farm. 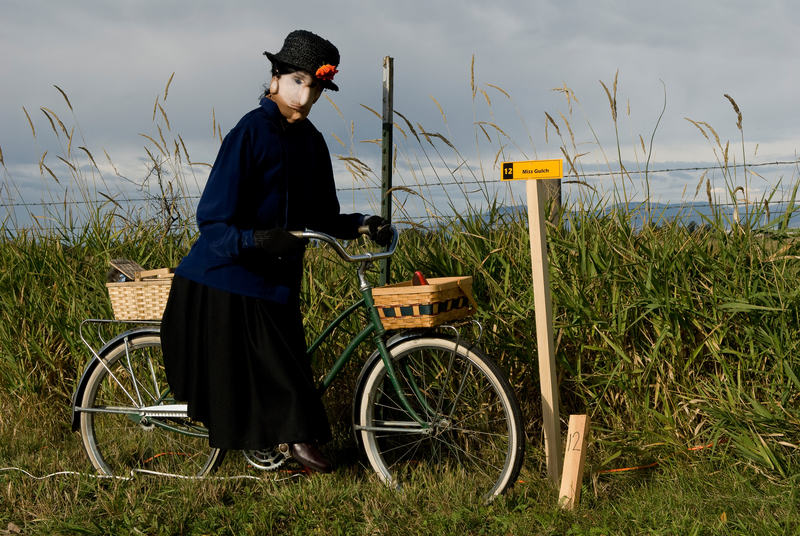 On weekends, interact with costumed characters circa 1915, who help demonstrate what life might have been like for Montana homesteaders. Three historically significant sites along the Lewis & Clark Trail are located in the Cut Bank area: Camp Disappointment, Cut Bank Camp and the Meriwether Lewis Fight Site. Follow in the Footsteps of the Corps of Discovery, the first American expedition to cross the western portion of the United States. 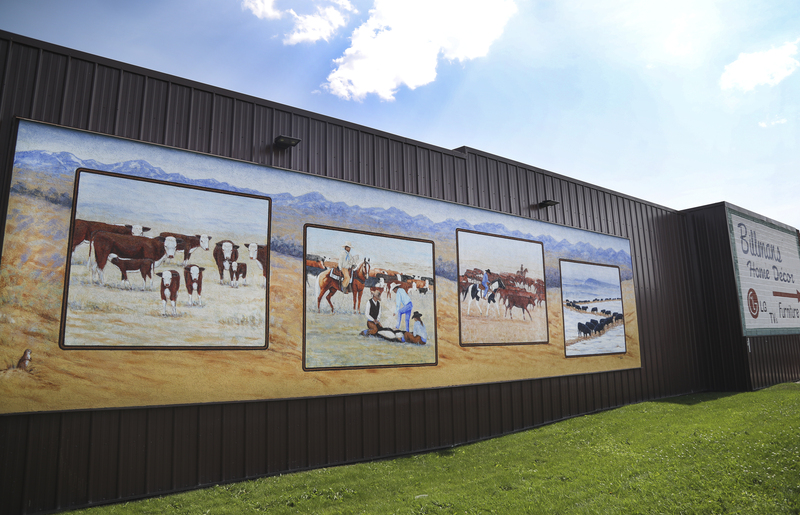 Set against the wide-open landscape, explore multiple downtown murals dedicated to the history of this unique community, commemorating Cut Bank’s homesteading roots, the importance of agriculture and cattle ranching, the Lewis and Clark Expedition and American Indian history. Murals depicting the history, lifestyle and rich culture of the area can be found all around downtown Cut Bank. Enjoy some of the best stream fishing in the state, plus tubing, boating, upland bird/waterfowl hunting, bird-watching and camping. Or, take to the green at the Cut Bank Golf and Country Club, offering a 9-hole course (for all skill levels) and excellent views. Hiking and biking your way around Cut Bank keeps getting easier with the expanding Cut Bank Trail System. 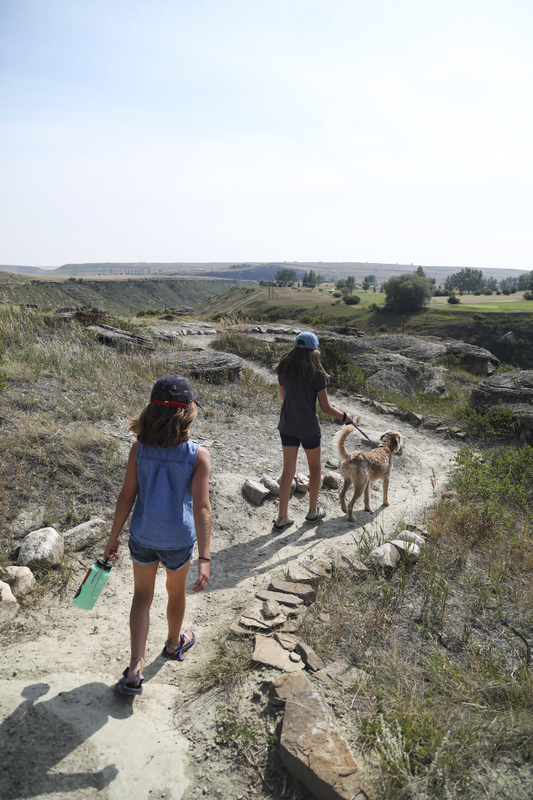 Take the Coulee Trail along the Cut Bank Creek Coulee, using the east trailhead at 7th Avenue S. and Dean Drive, or the west trailhead at Mountain View Boulevard and Lookout Road. The Coulee Trail System along Cut Bank Creek is easily accessible and seriously scenic. What we love most about the Cut Bank Creek Brewery—aside from their exceptional, finely crafted brews—is their philosophy of good people, good beer and good living. We can’t help but agree. Stop by this neighborhood gathering place for cold beer, handcrafted ginger ale, locally roasted coffee, live music and board games. Rub elbows with the locals and see just how good living in Cut Bank is. 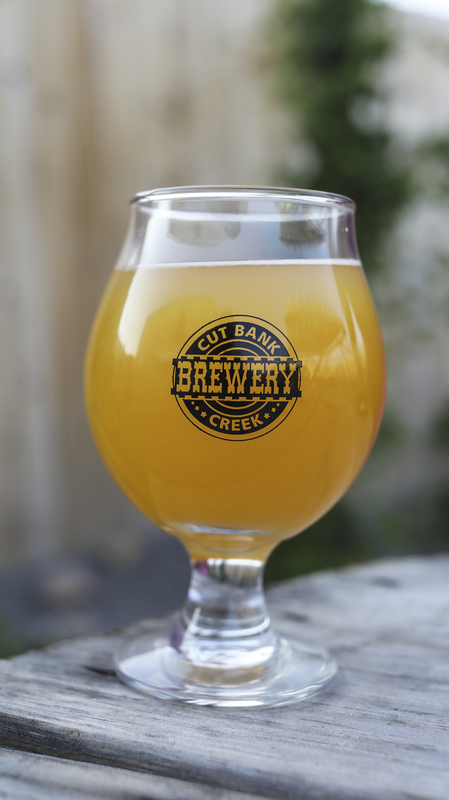 Add the Cut Bank Creek Brewery to the list of Montana breweries we love. One of the things Montana does best is put on a good farmers market. Cut Bank lays on the charm Wednesdays from 3 – 6 p.m. (seasonally) at Cut Bank City Park. Shop local—from fresh foods, baked goods, produce and flowers, to artisan crafts, woodworking and handmade soaps. The Hutterites are a mainstay of the Cut Bank Farmers Market—try their fresh, local eggs! 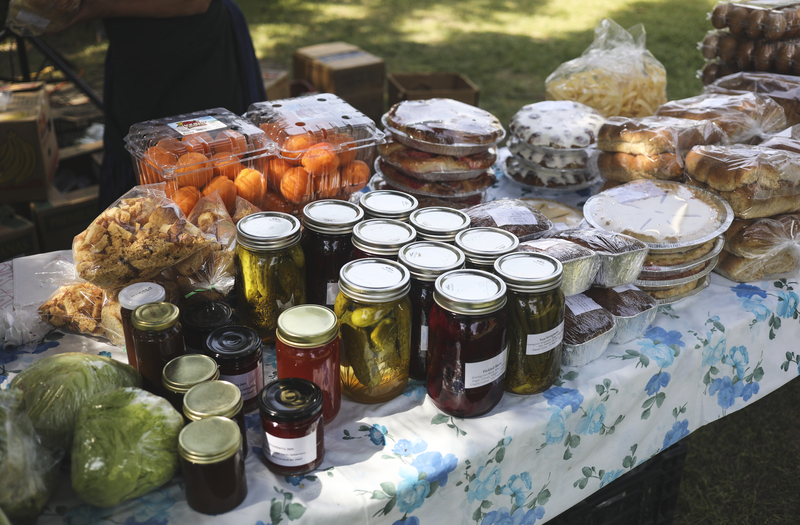 From homegrown fruits and vegetables to pies, breads and homemade jams, the Cut Bank Farmers Market is the real deal. 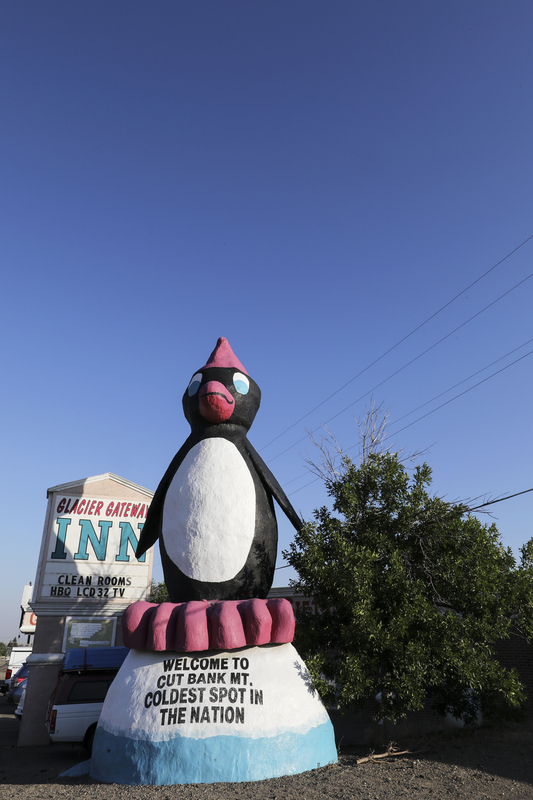 TRIP TIP + PHOTO OP: Do not miss the 27-foot-tall penguin—Cut Bank’s roadside landmark is actually impossible to miss. The towering penguin claims bragging rights to calling “the coldest spot in the nation” home. See Glacier Country’s most famous penguin! 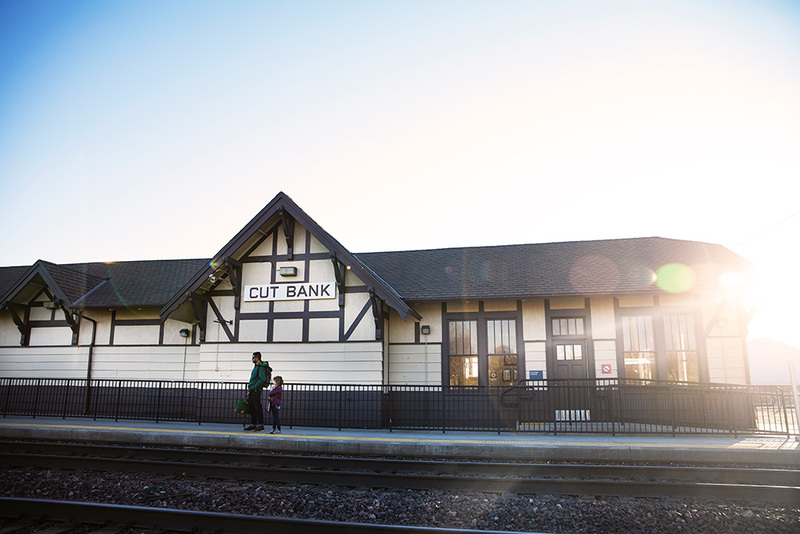 Come see Cut Bank; getting here is easy, with an international airport for private planes, an Amtrak station, and easy access off U.S. Route 2. Road trip anyone? 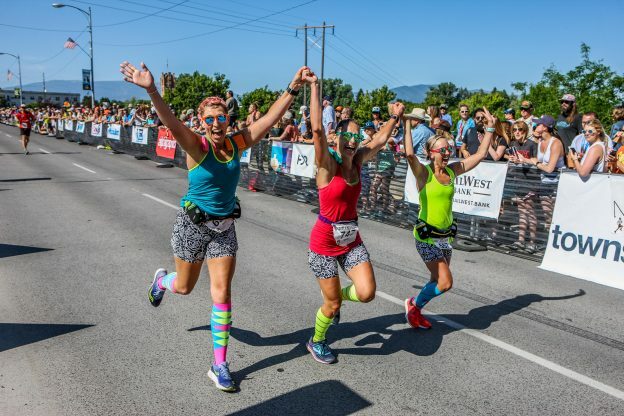 This entry was posted in American Indian, Arts and Culture, Cut Bank, Family Fun, Farmers Market, Getting Around, Glacier National Park, Montana, Montana Fun, Outdoor Fun, Things To Do, Uncategorized on August 21, 2018 by glaciermt. Start your Western Montana adventure with Glacier Country. It can be a little overwhelming—albeit exciting—to wrap your head around how you might spend your time exploring Western Montana’s Glacier Country. With our glacial-carved terrain, 1-million-acre national park, 75+ charming small towns and limitless adventure, you’ve got a lot of choices. We’ve put together a six-day itinerary that might help you along the way. A short 15-minute drive south of Missoula on Highway 93 is Lolo, home to Travelers’ Rest State Park—a centuries-old gathering place and campsite where Lewis and Clark rested and prepared for their journey—and Holt Heritage Museum (tours by appointment only), including memorabilia and an expansive collection of American Indian artwork as well as western wear, including hats and boots worn by some pretty famous cowboys and cowgirls. 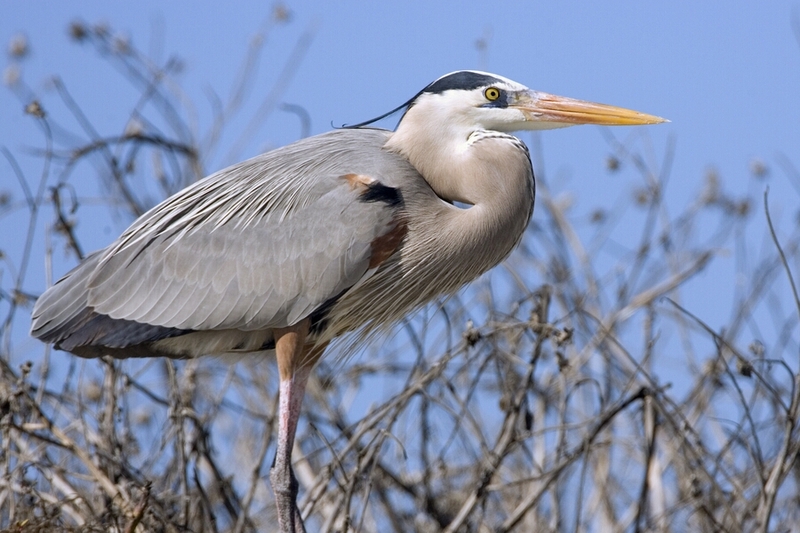 Continue south on Highway 93 to the town of Florence and travel east on the Eastside Highway to the Lee Metcalf National Wildlife Refuge. 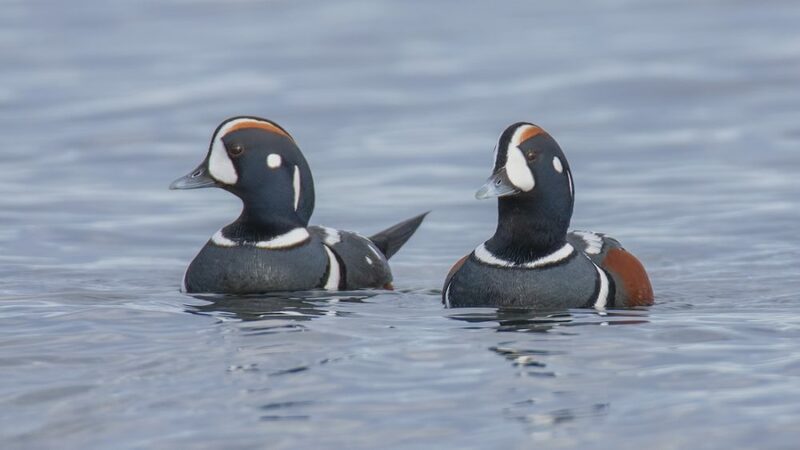 A naturalist’s paradise, look for tundra swans, woodpeckers, bald eagles and white-tailed deer from the comfort of your vehicle or walk the 2.5-miles of nature trails near the Bitterroot River. Continue south on the Eastside Highway to the community of Stevensville, with a quick detour to Fort Owen State Park. The first permanent pioneer settlement in Montana, Stevensville is home to the historic St. Mary’s Mission. After lunch at a local eatery, stroll through the downtown shops with a stop at Valley Drug and Variety for something sweet at the old-fashioned soda fountain. 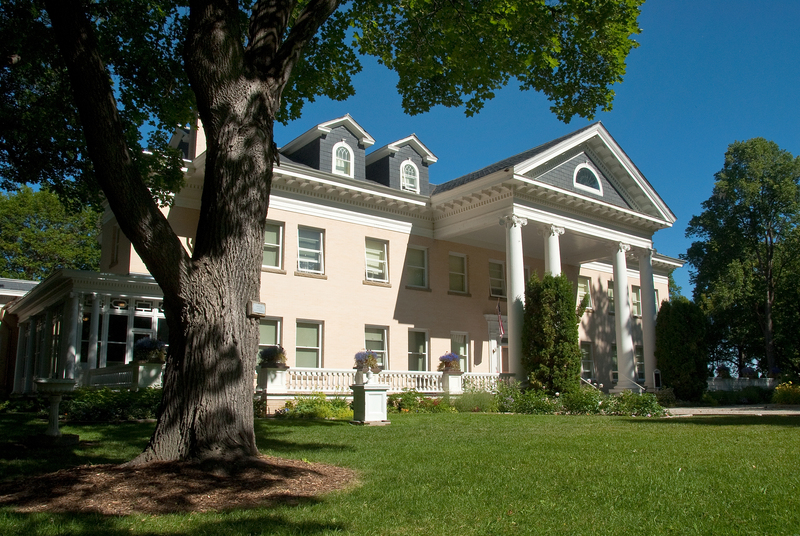 Head farther south to visit the Daly Mansion just outside of Hamilton, the summer home of Copper Baron and millionaire Marcus Daly. Tour a marvel of a mansion formerly owned by Copper Baron, Marcus Daly. Continue a few more minutes south and you’ll soon be in Hamilton—the largest town in the valley. Experience the vibrant arts scene with many galleries and shops full of work from local artisans. You’ll also find sapphire mining for that perfect gem at Sapphire Studios in Hamilton, casting a line on the Bitterroot River or continuing south for 15 minutes to Darby and visiting Jimmy “the hat man” Harrison at Double H Custom Hat Co. for a custom handmade felted fur hat. 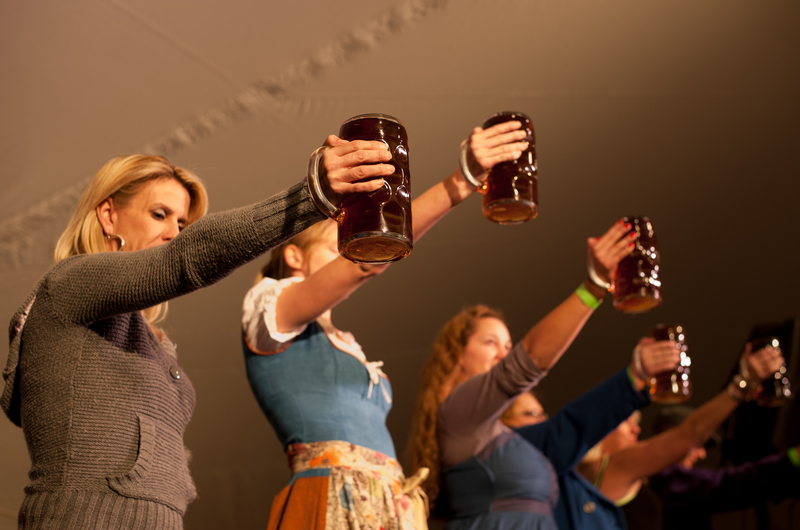 For dinner, stop at one of the Bitterroot Valley’s four craft breweries for a taste and a tour. Enjoy a wood-fired pizza or burger and a microbrew before returning to Missoula on Highway 93. 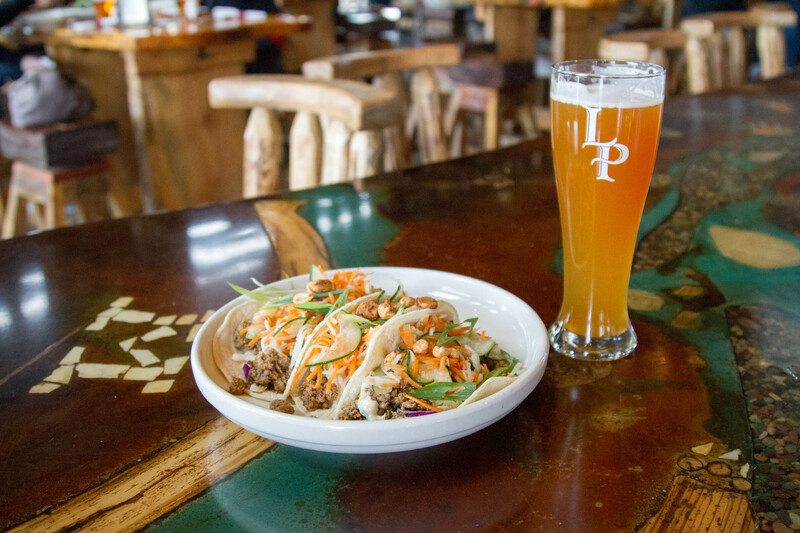 Taste a refreshing and crisp local beer at Lolo Peak Brewing Company. 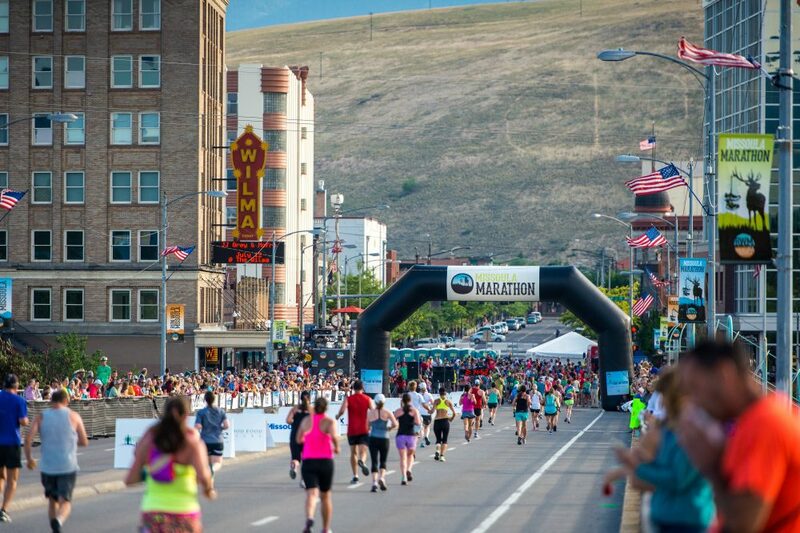 Missoula is Montana’s cultural hub and sits at the confluence of three rivers. The city boasts nine historic districts, funky boutiques, live theater and music, a symphony and delectable dining. It’s also home to the state’s oldest university. 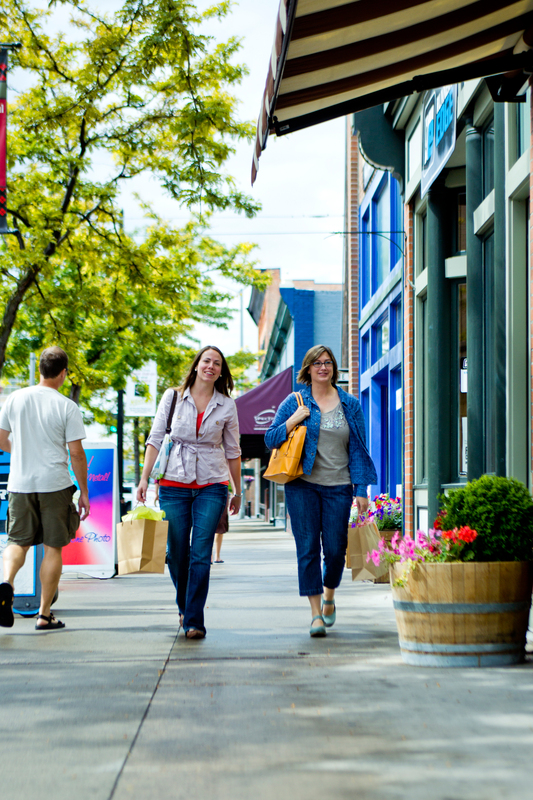 Begin your day in Missoula with one of many self-guided tours and maps offered by the Missoula Downtown Association. Caras Park, located in the heart of downtown Missoula, is a great place to start. Be sure to stroll over to the Brennan’s Wave overlook, where you are likely to see a kayaker (or several) playing on this man-made whitewater wave on the Clark Fork River. 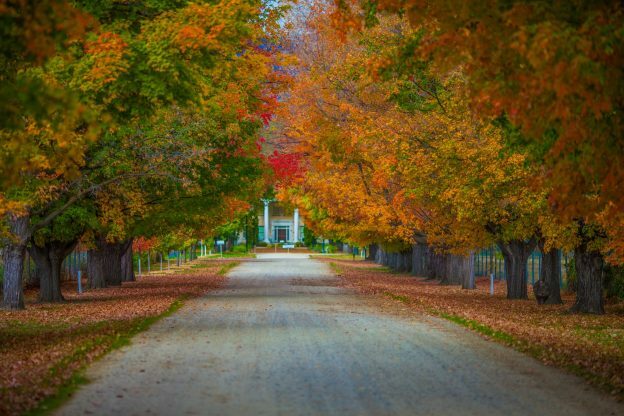 Wander art galleries, wineries and boutiques, or explore a museum or historical tour. Nearby you’ll find various locations that host the Missoula Farmers Market, Clark Fork River Market and The Peoples Market (open Saturdays, May – October), as well as some of Missoula’s most popular festivals. Have lunch or dinner at one of Missoula’s downtown eateries featuring locally sourced products like Dixon melons, wild huckleberries and grass-fed beef. You’re in elk country, so a visit to the Rocky Mountain Elk Foundation Visitor Center is in order. More than a museum, this visitor center features a number of interactive exhibits where you can learn more about elk, elk country and the role the organization plays in conservation throughout North America. No visit to Missoula is complete without a visit to the Smokejumper Visitor Center. As the nation’s largest training base for smokejumpers, the visitor center showcases displays, dioramas and videos related to the lore of America’s legendary parachute wildfire fighters. If local history is what you are looking for, visit The Historical Museum at Fort Missoula. Built in 1877, the fort sits on 32 acres and features 13 historical structures. It provides a rich history lesson about the search for gold in the area and the impact the railroad had on western expansion. The Rocky Mountain Museum of Military History, also located at Fort Missoula, tells the story of the United States Army, from frontier times to present day. 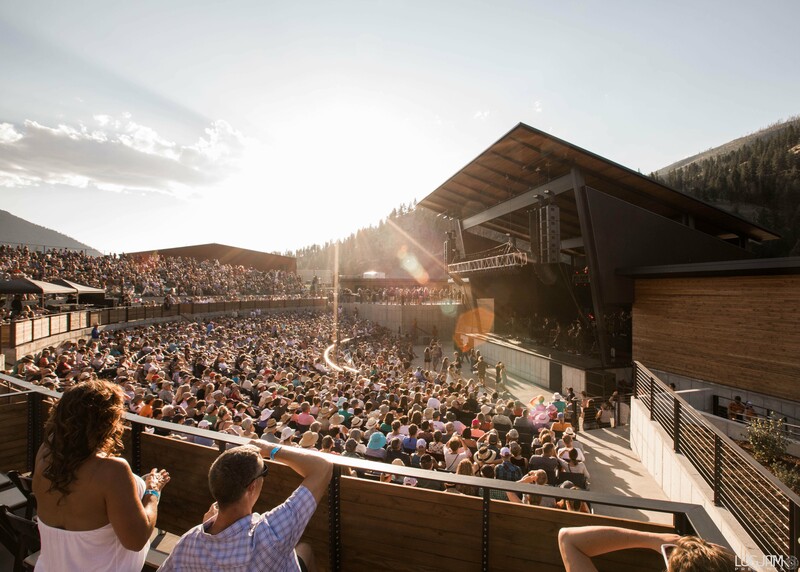 For an evening out, check out a concert at The University of Montana, Big Sky Brewing Company Amphitheater or KettleHouse Amphitheater, located on the banks of the Blackfoot River. Several venues downtown, including the Wilma Theatre, often host live music performances. You can also catch a Missoula Osprey baseball game, Missoula Maulers hockey game or the Hellgate Rollergirls for some roller derby. Head north on Highway 93 to your first stop at the St. Ignatius Mission in St. Ignatius. (one hour, 30 minutes from Hamilton). Founded in 1854 by Jesuit missionaries, the mission, and especially Brother Carignano’s remarkable frescoes, are a must-see for anyone who appreciates historical landmarks (30-minute self-guided tour). Then head toward Dixon on Highway 200 and north to Moiese to visit the National Bison Range. Home to hundreds of bison, as well as elk, white-tailed and mule deer, pronghorn antelope, bighorn sheep and black bear. The visitor center provides interpretive displays and orientation videos, as well as a bookstore. A 6-mile loop is accessible to motorcoaches (one-hour self-guided tour). Wake up to views of majestic mountains and pristine waters at Ninepipes Lodge. 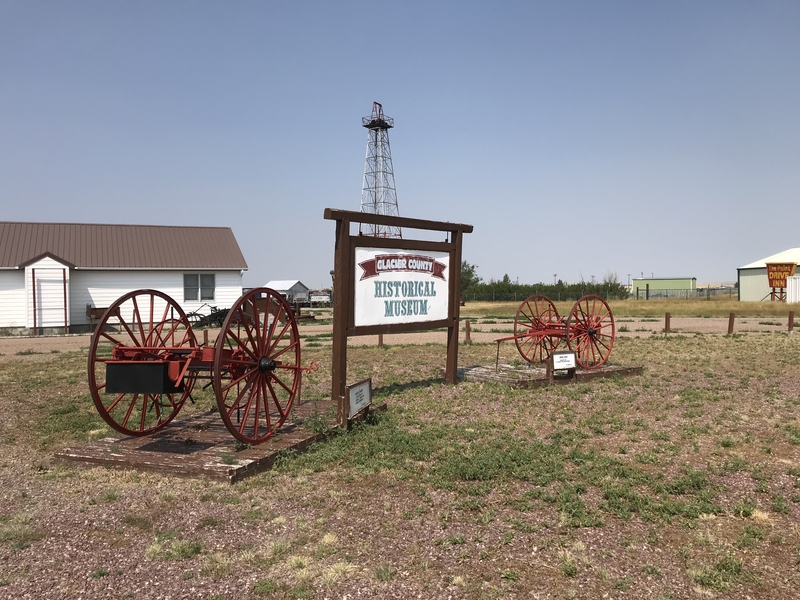 Check out The Ninepipes Museum, located six miles south of Ronan and adjacent to the scenic Ninepipe National Wildlife Refuge. 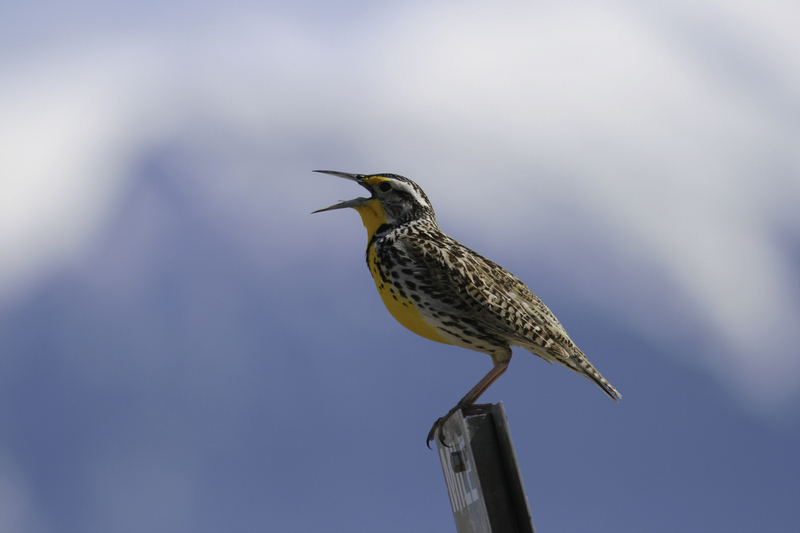 Enjoy the 2,000+ acre scenic refuge for native birds, and the museum’s collection of early photos, artifacts and antiques representing more than a century of life in the Flathead Valley. The People’s Center, 1 mile north of Pablo (20 miles/25 minutes from St. Ignatius) on Highway 93, is the place to experience the rich cultural heritage of the Salish, Pend d’Oreille and Kootenai Tribes. The center features an exhibit gallery, educational programs and Native Ed-Venture interpretive tours focusing on American Indian heritage, natural history and cultural interpretation (one-hour tour). 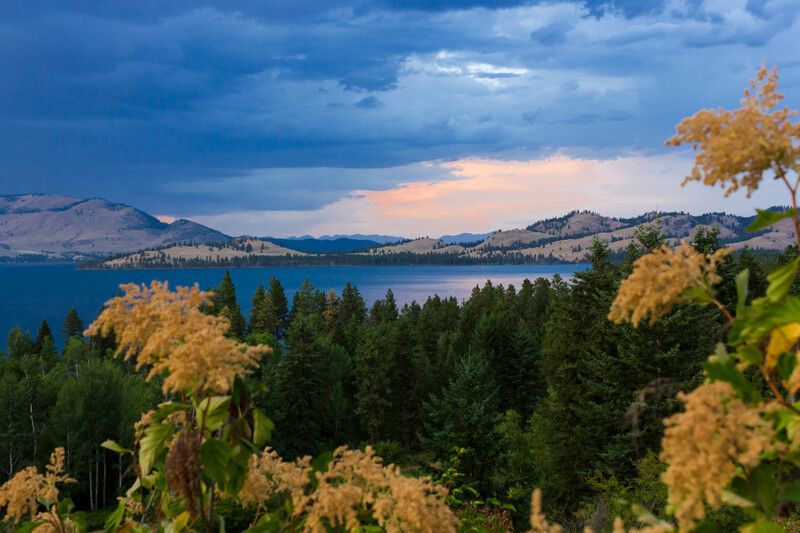 The Best Western Kwataqnuk Resort in Polson (8 miles/11 minutes from The People’s Center) is your next stop, located on the southwest shore of Flathead Lake. This is the perfect place to stop for a meal and to overnight with magnificent lake views. 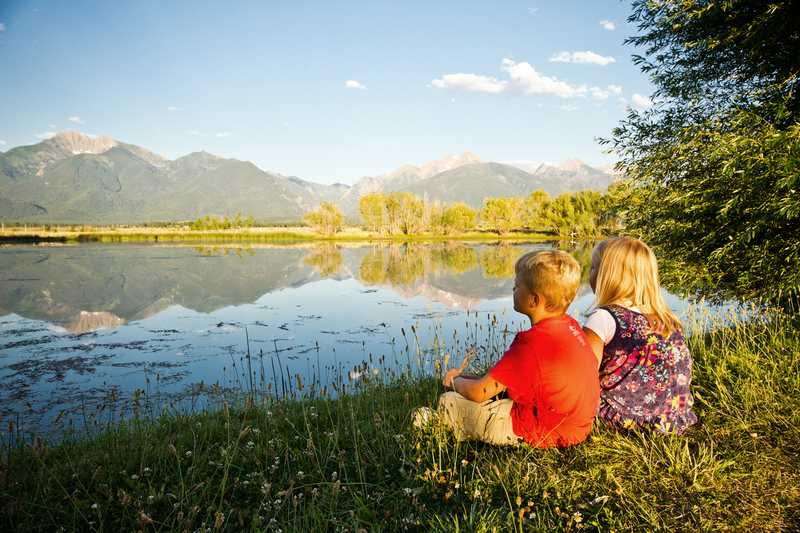 Enjoy exploring downtown Polson or take a boat tour from Kwataqnuk Resort’s marina. 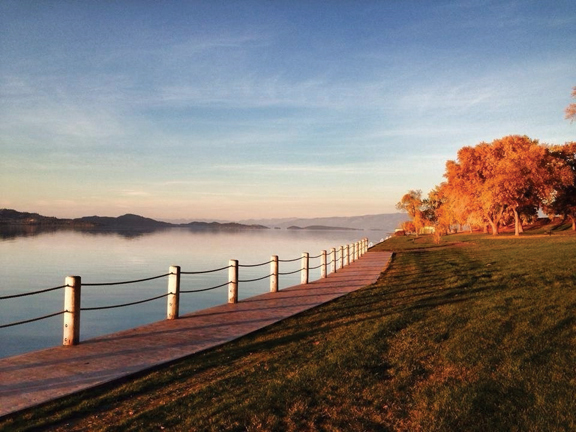 Choose between a narrated bay cruise (1.5 hours) or cruise to the shores of Wild Horse Island, the largest island on Flathead Lake (three hours). Take advantage of Kwataqnuk’s group packages that include lunch and a boat cruise. Hop in your car and prepare for epic views of Glacier National Park…and don’t worry, there are plenty of places to pull over and capture the moment. Head north and spend your day in Glacier National Park driving the stunning Going-to-the-Sun Road. You can drive the road from west to east and back or you can turn it into a loop tour by driving the road from West Glacier to St. Mary and heading back to West Glacier via East Glacier Park and U.S. Highway 2. Be sure to take advantage of the various pull-outs and scenic viewpoints along the way. Recommended stops include Trail of the Cedars, Logan Pass Visitor Center, Jackson Glacier Overlook, Sunrift Gorge and Sun Point. Today will take you to one of the wildest sections of the park: the North Fork, one of the most scenic and off-the-beaten-path sections of the park that’s accessible by car. 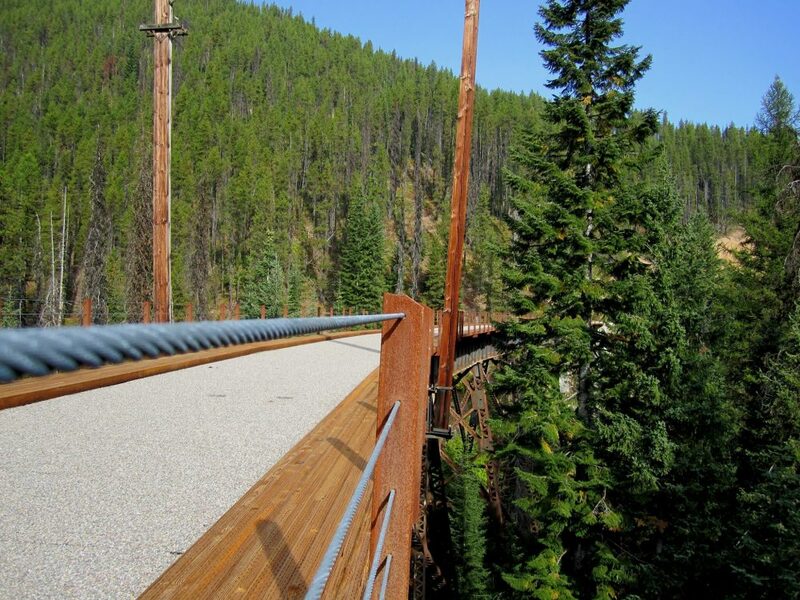 Take advantage of the stunning views as you make your way up the Outside North Fork Road. Polebridge, a small off-the-grid town just outside the park’s border, anchors the area. Here you’ll find a historic mercantile, saloon, cabins for rent and a hostel. 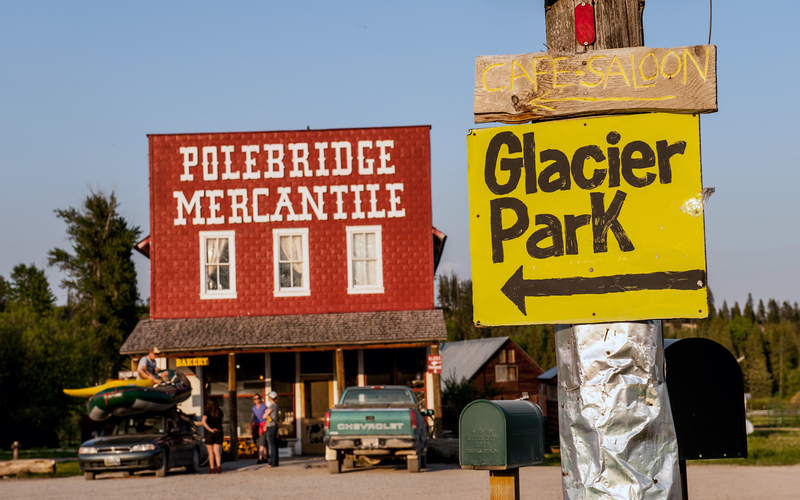 Be sure to stop at the Polebridge Mercantile for some of the best pastries in the West. After fueling up on goodies, rent a kayak or canoe (or bring your own) and head into the park to Bowman or Kintla lakes for a few hours of paddling on the clear blue waters. If you’re feeling adventurous, take the Inside North Fork Road through the park to Polebridge. Check the road status before you go and be sure you’re in a high clearance, four-wheel drive vehicle. Take a trip back in time while enjoying some of the finest pastries in the West at the Polebridge Mercantile. Spend the final day of your trip participating in some of the activities and adventures around one of the park’s hubs—West Glacier. 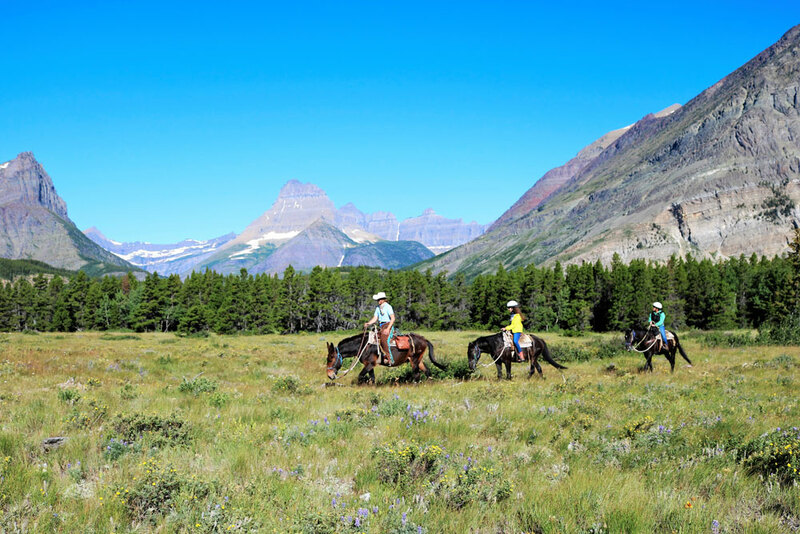 Start your morning on a trail ride with Swan Mountain Outfitters at their West Glacier corral. After taking in the view along the trail, head out on a half-day fly-fishing or whitewater rafting trip along the Middle Fork of the Flathead River. Along the way, you’ll learn about area history and local legends. Round out the night with dinner at the Belton Chalet. Learn more about Glacier National Park by participating in one of the ranger-led activities. Saddle up, cowboys and cowgirls. Experience a classic way to see the park and cover miles of scenic terrain. 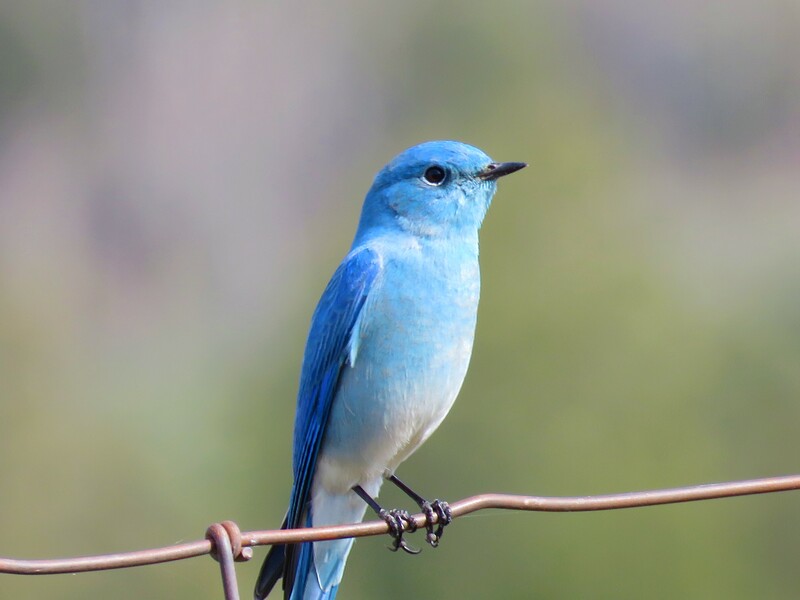 This entry was posted in Bitterroot Valley, Darby, East Glacier Park, Essex, Florence, Glacier National Park, Hamilton, Lolo, Moiese, Pablo, Polebridge, Polson, Ronan, St. Ignatius, St. Mary, Stevensville, Uncategorized, Victor, West Glacier on August 6, 2018 by glaciermt.